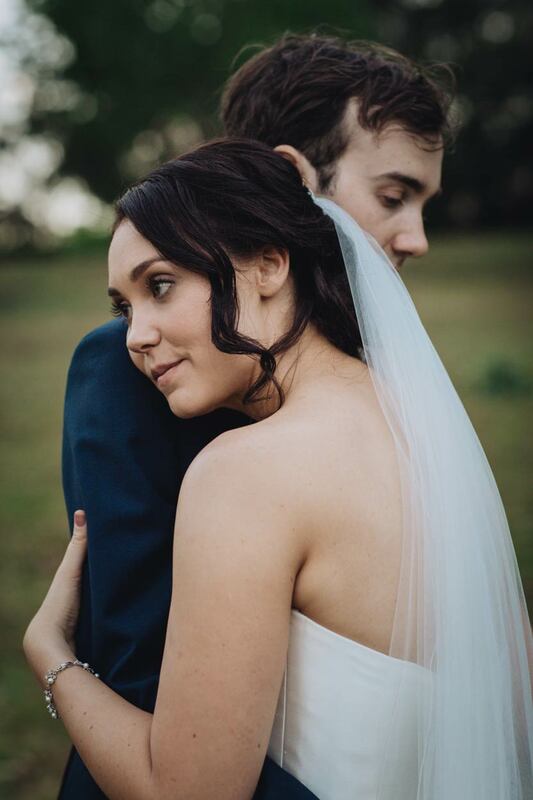 2018 has been a MASSIVE year of wedding photography for Mikala and I. 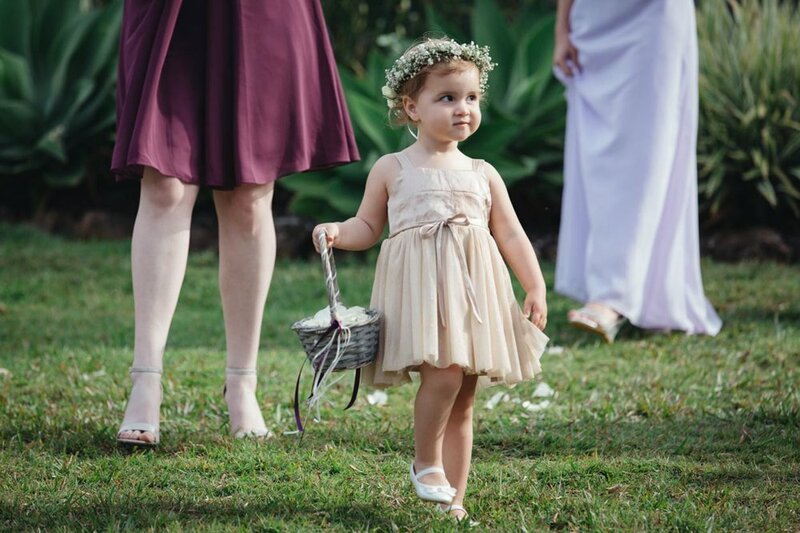 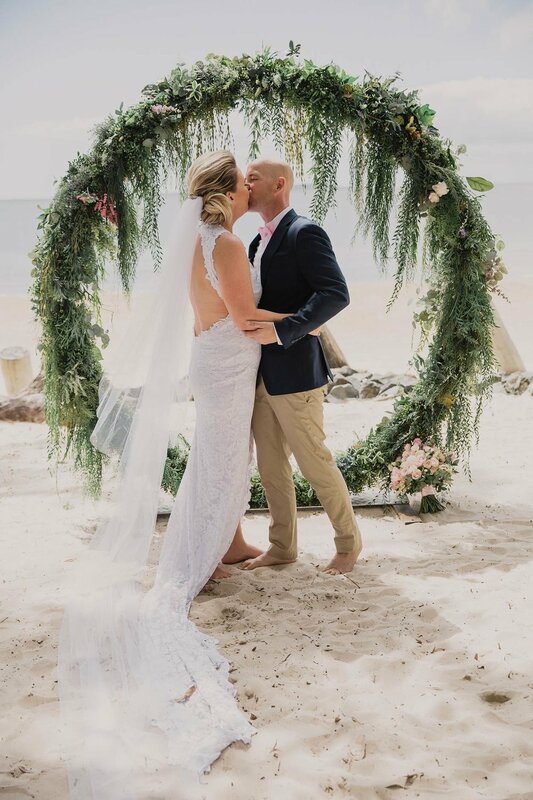 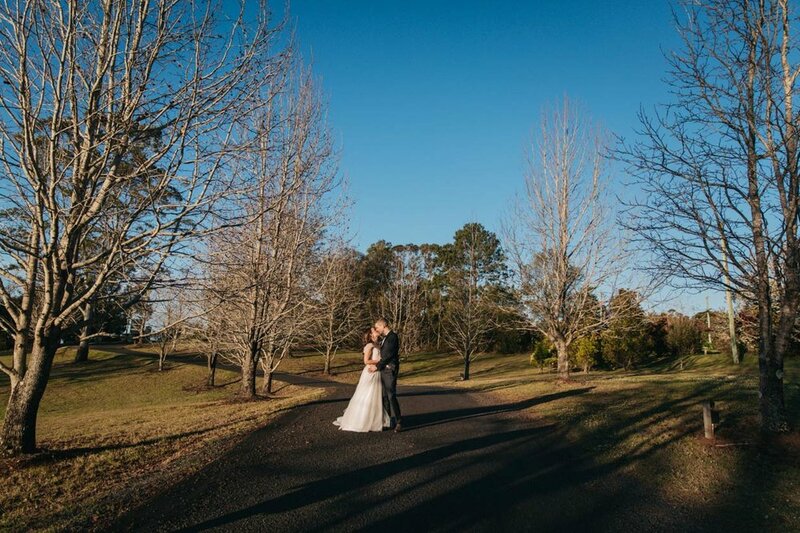 We have photographed loads of beautiful weddings around our hood on the Sunshine Coast, from Noosa to Maleny, Montville to Caloundra, Obi Obi to Coolum, Maroochydore to Beerwah, Mooloolaba to Sunshine Beach. 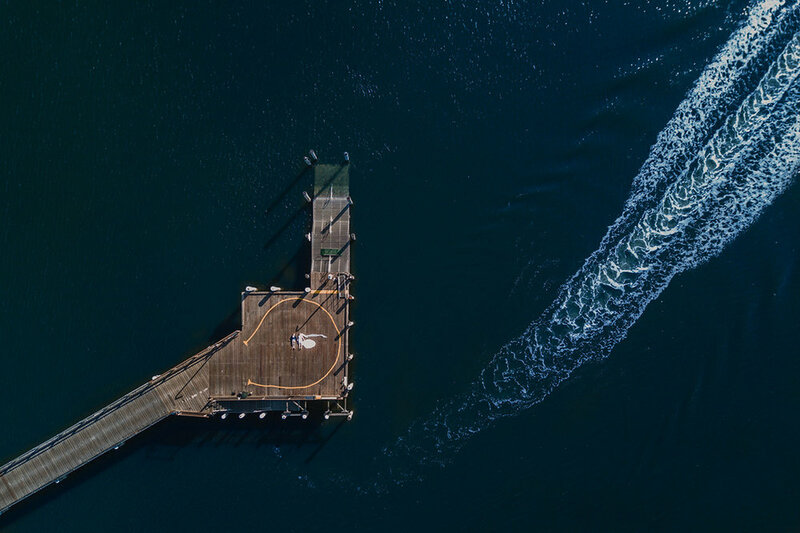 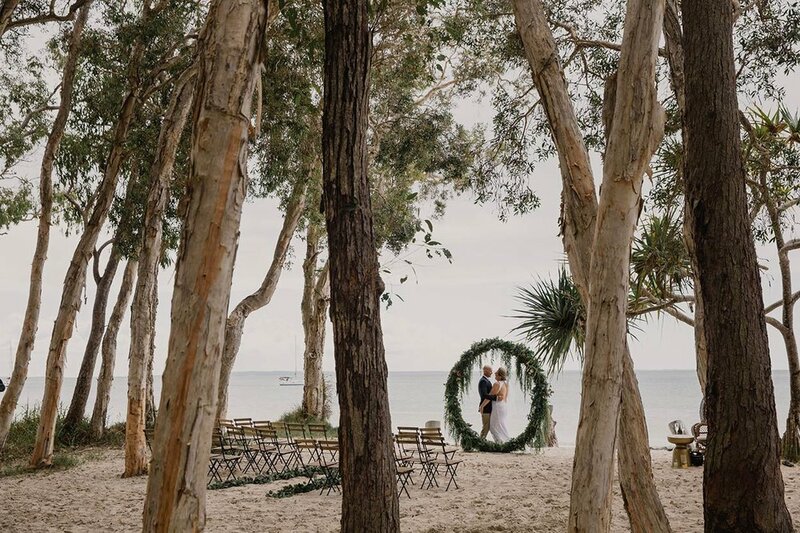 We’ve also travelled to Melbourne, Ireland, Portugal, Hong Kong, London, Fraser Island, The Whitsundays (Airlie Beach) photographing destination weddings along the way while exploring the extraordinary globe we live on. 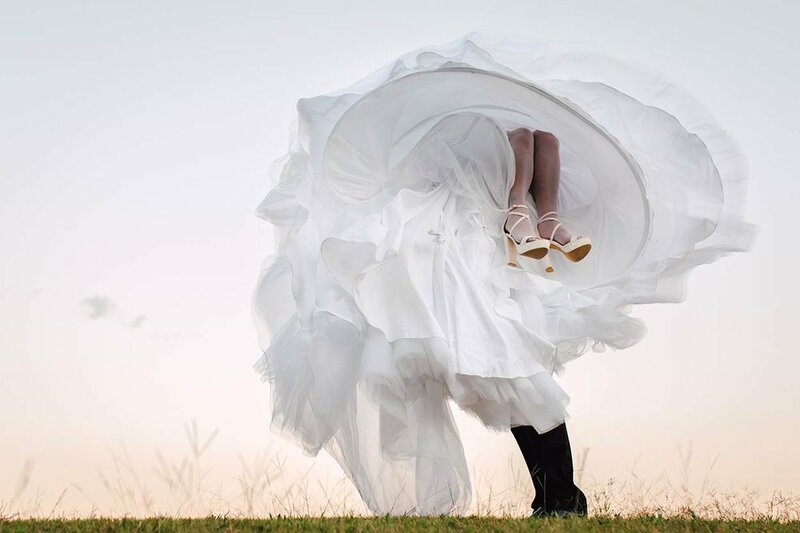 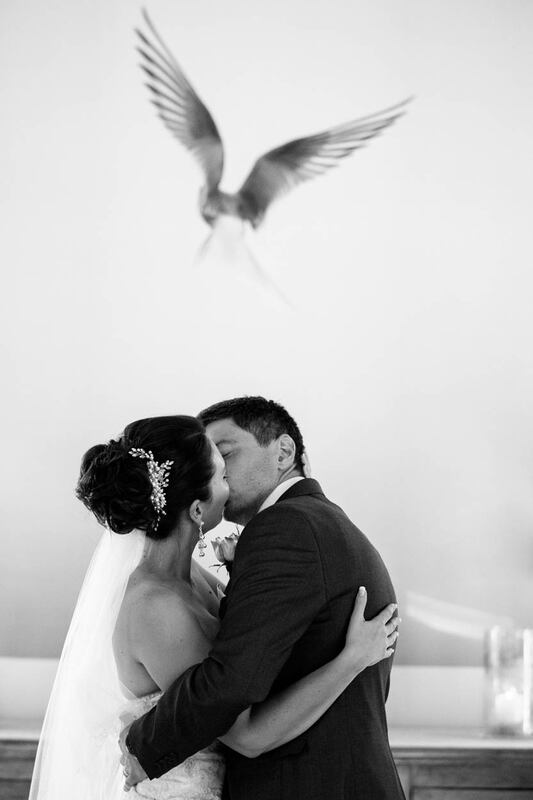 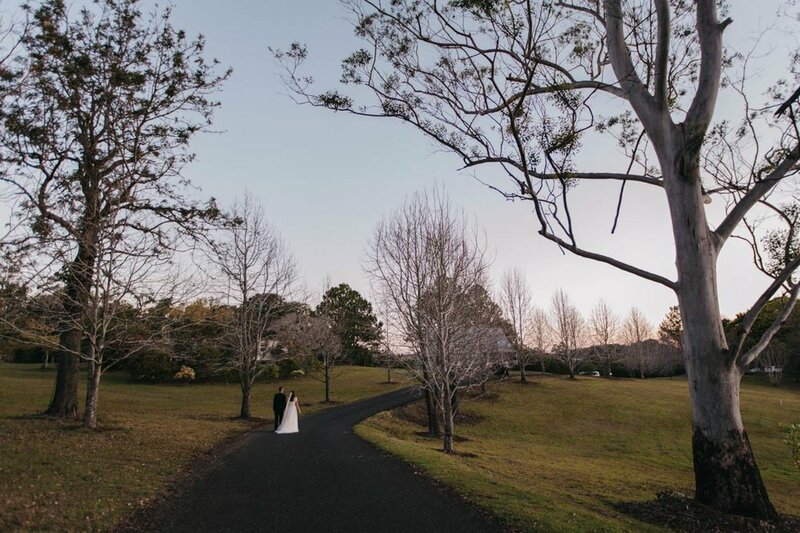 We feel so privileged to have worked with so many gorgeous couples at some absolutely stunning wedding venues including Gabbinbar Homestead (Toowoomba), Villa Botanica (Airlie Beach), Kingfisher Bay Resort (Fraser Island), Noosa Riverdeck (Sunshine Coast), House of Laurels (Maleny), Montville Chapel & Poet’s Gallery and the list goes on and on. 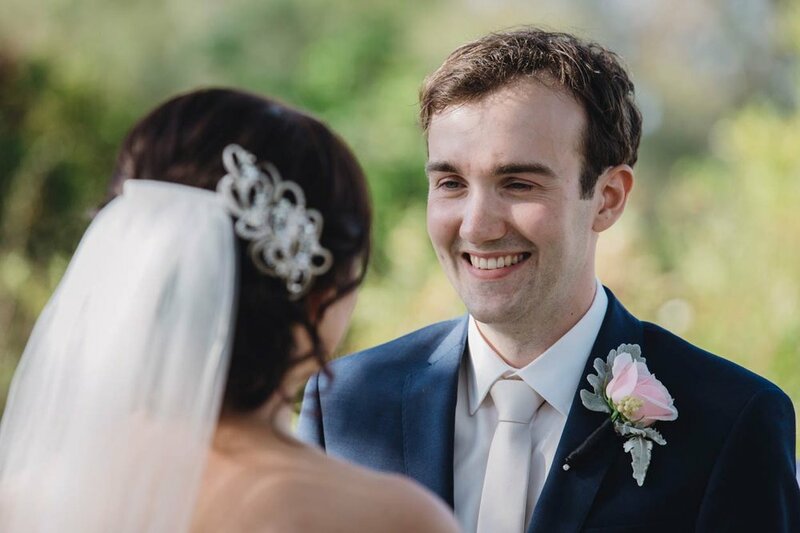 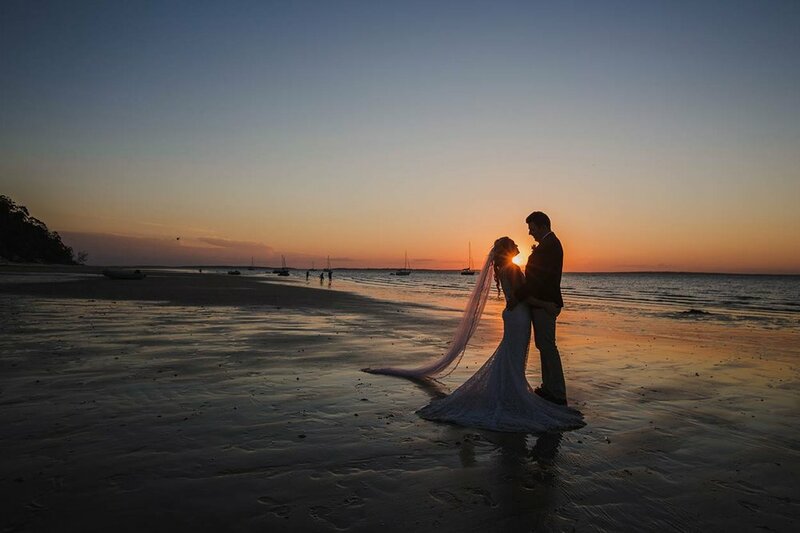 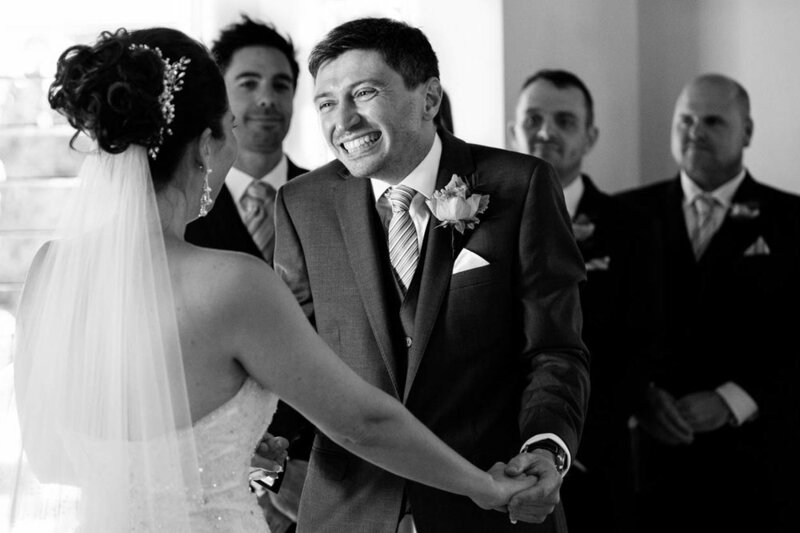 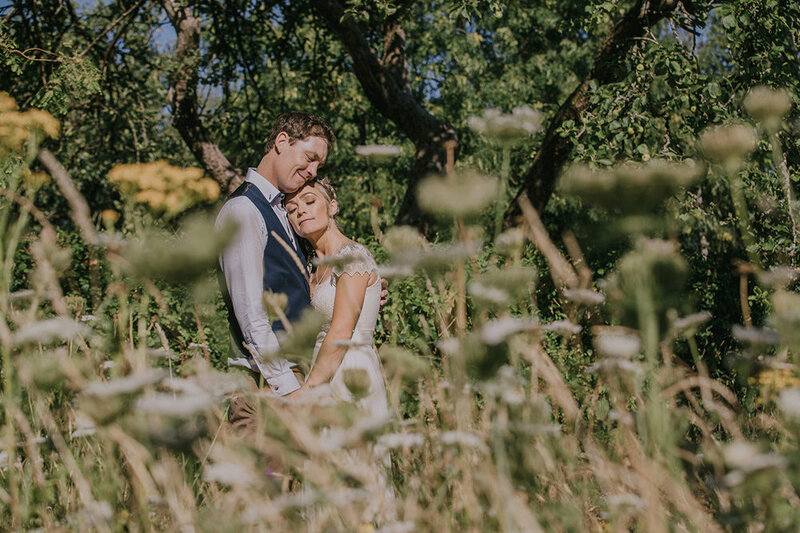 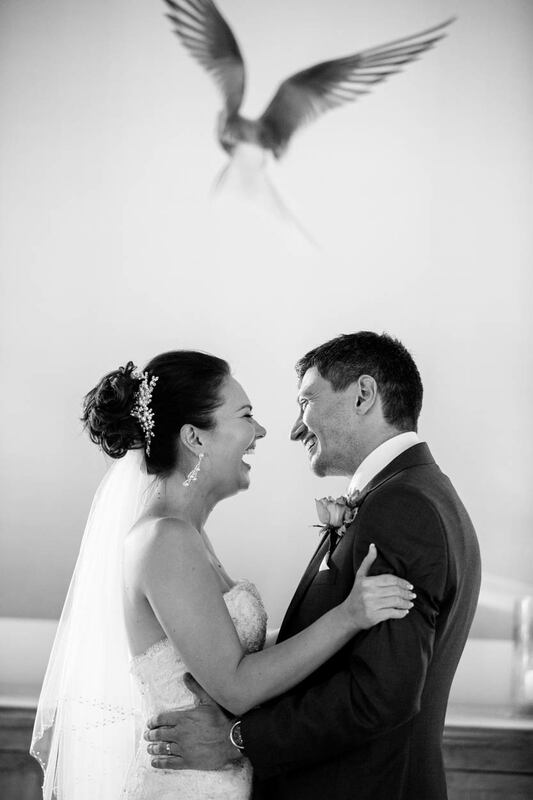 We have an enormous amount of gratitude for the couples who have chosen us to photograph their wedding day and capture those one off moments, never to be repeated, so they can enjoy them for the rest of their lives. 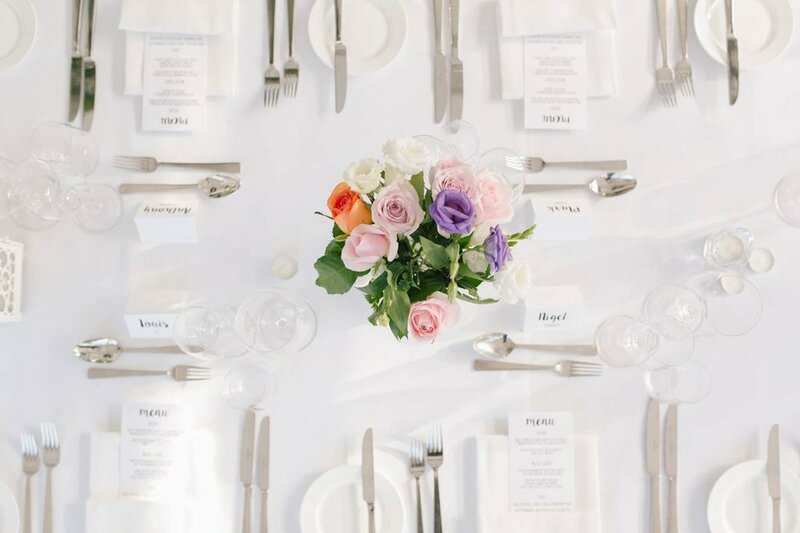 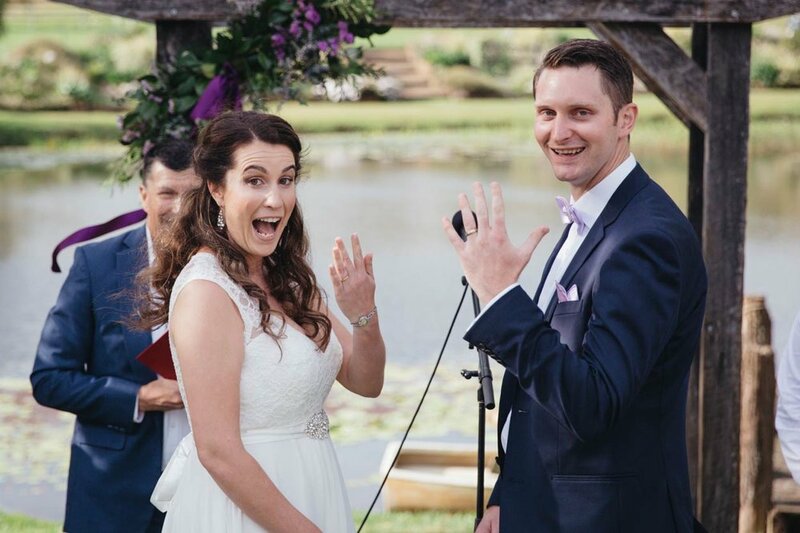 Thank you to all the awesome, now married couples we’ve worked with in 2018 and also a big thank you to the wedding ceremony and reception staff, owners, helpers and guests who have made our year rich in laughter, love and everything in between. 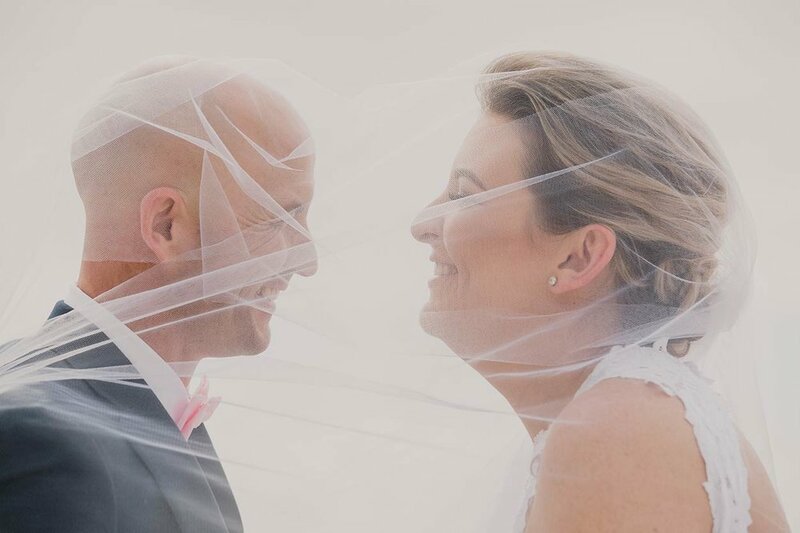 Big Love and we look forward to another wonderful year of wedding photography in 2019! 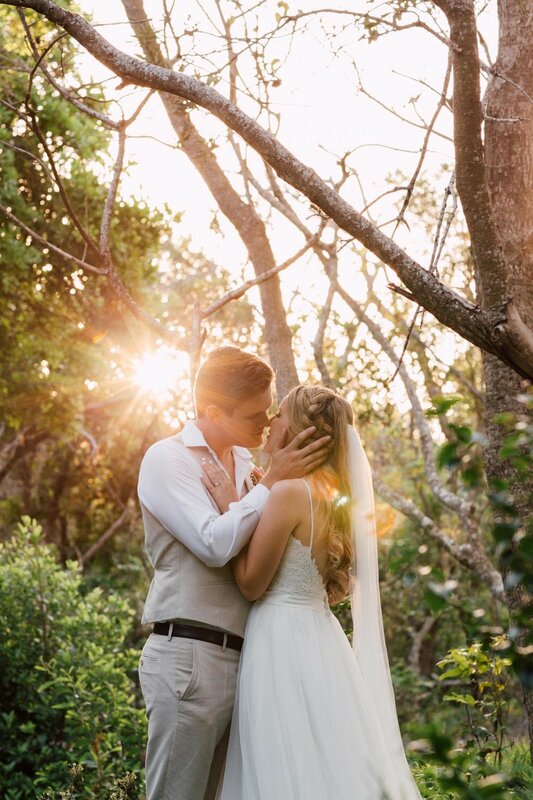 All the love and happiness in the world to you! 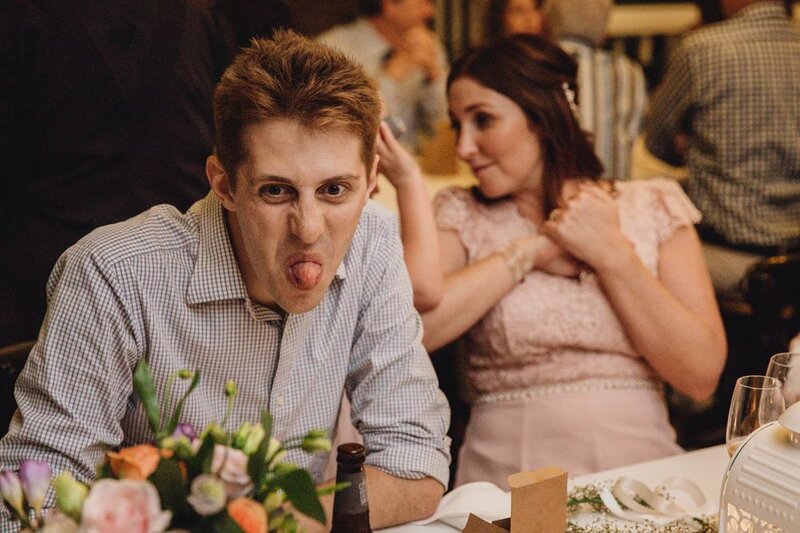 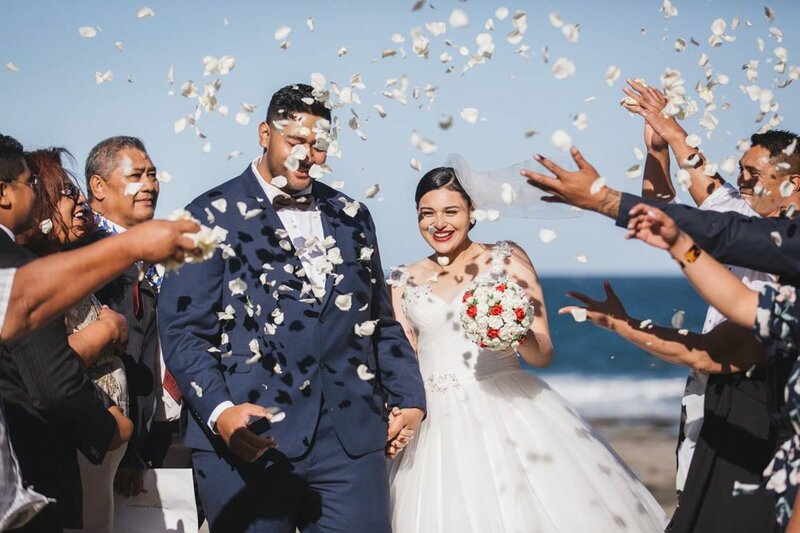 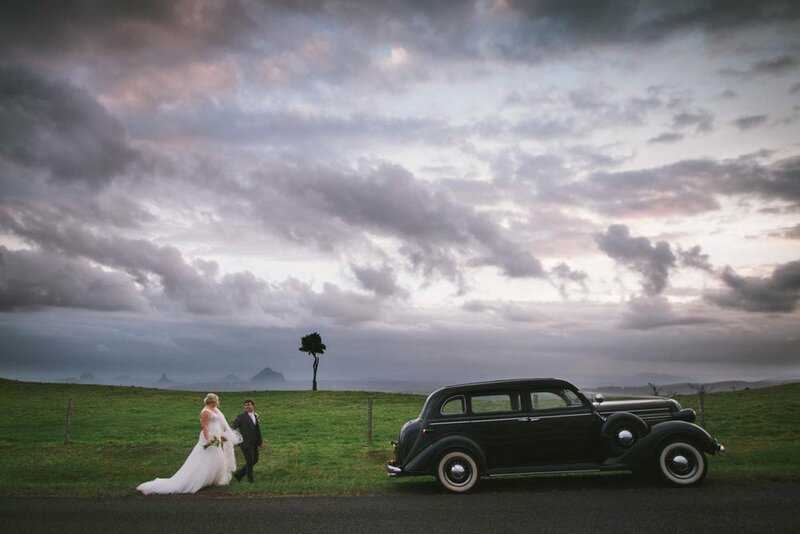 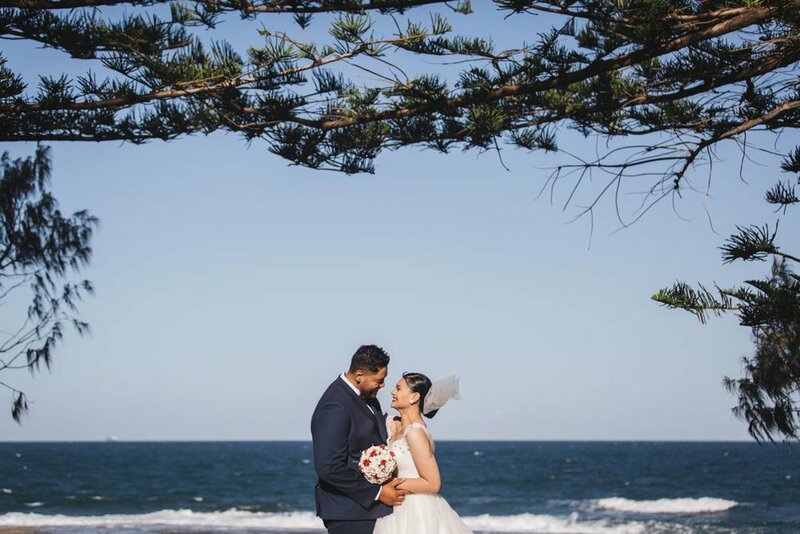 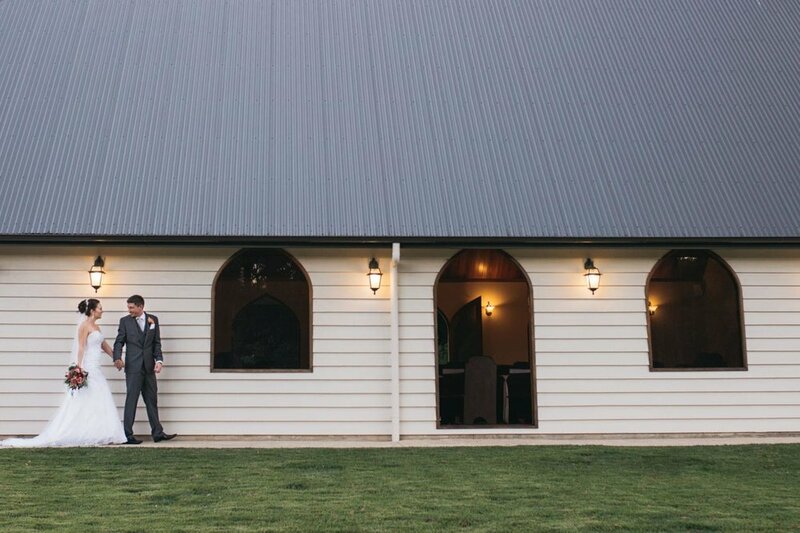 Our Favourite Wedding Photos of 2016 - The Sunshine Coast & Beyond! 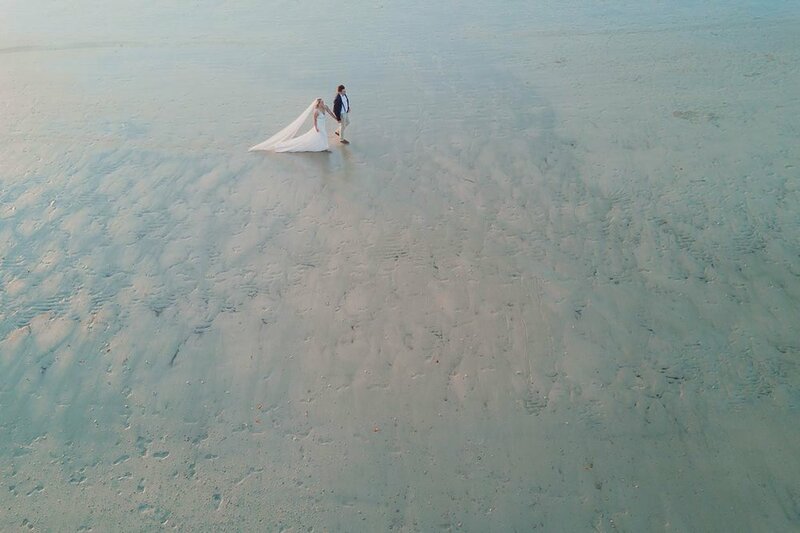 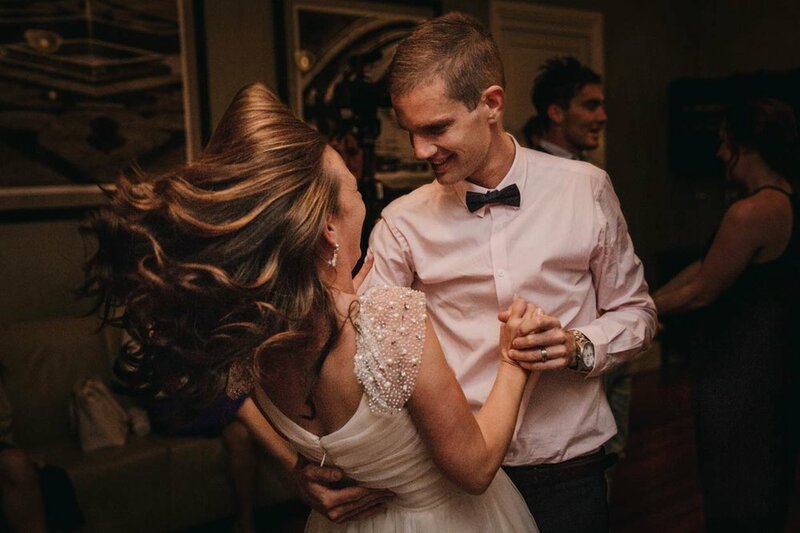 2016 has been a HUGE year of wedding photography for us! 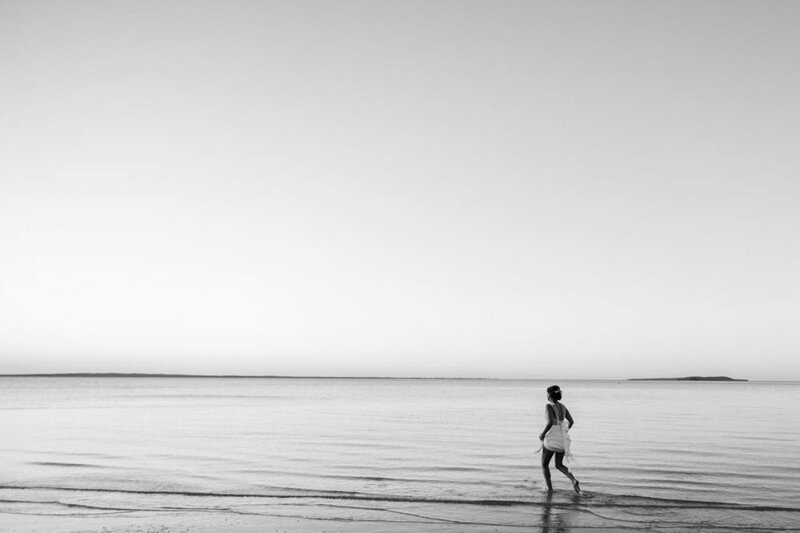 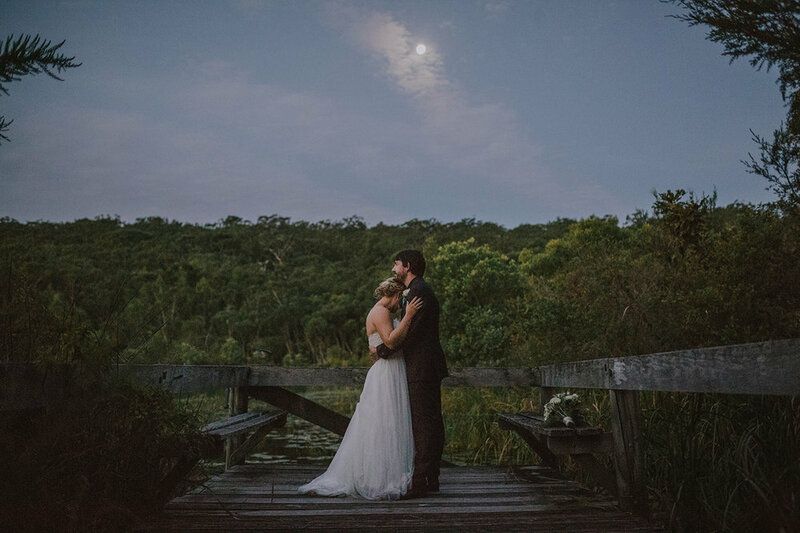 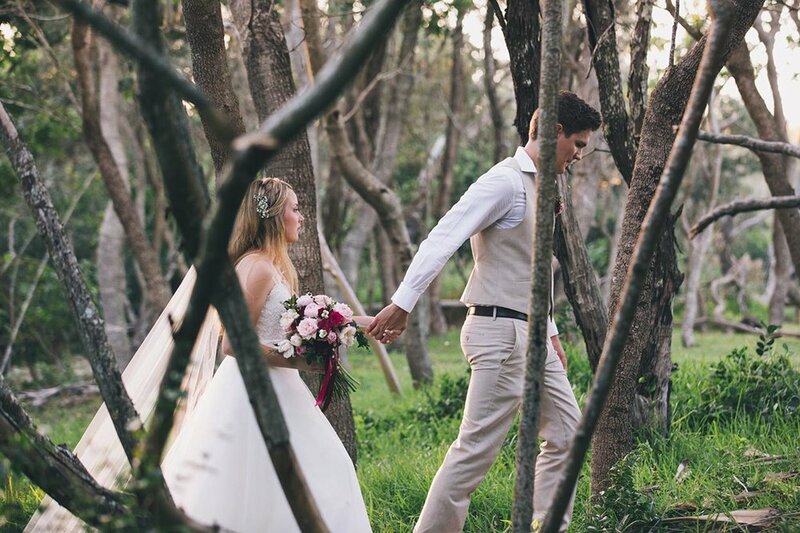 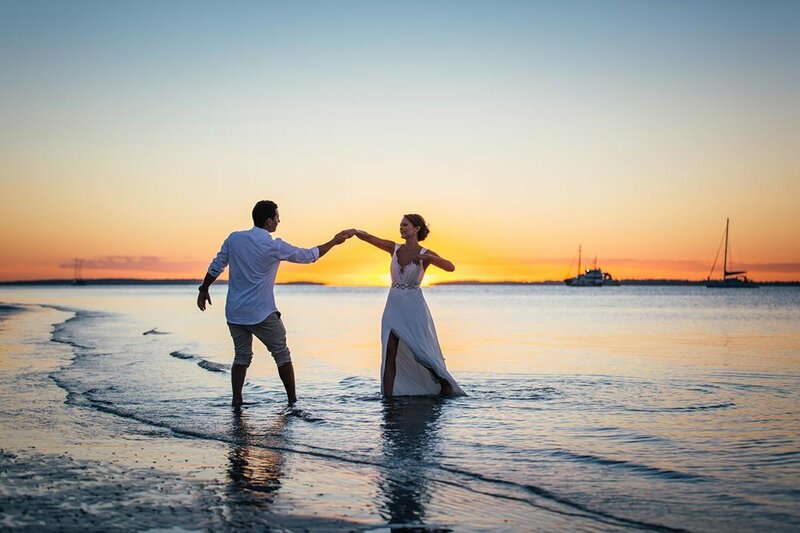 We've explored some gorgeous cities, venues and properties for the weddings we photographed from Fraser Island & Stradbroke Island to The Sunshine Coast to Brisbane, Toowoomba, The Gold Coast, Byron Bay, Bangalow and beyond. 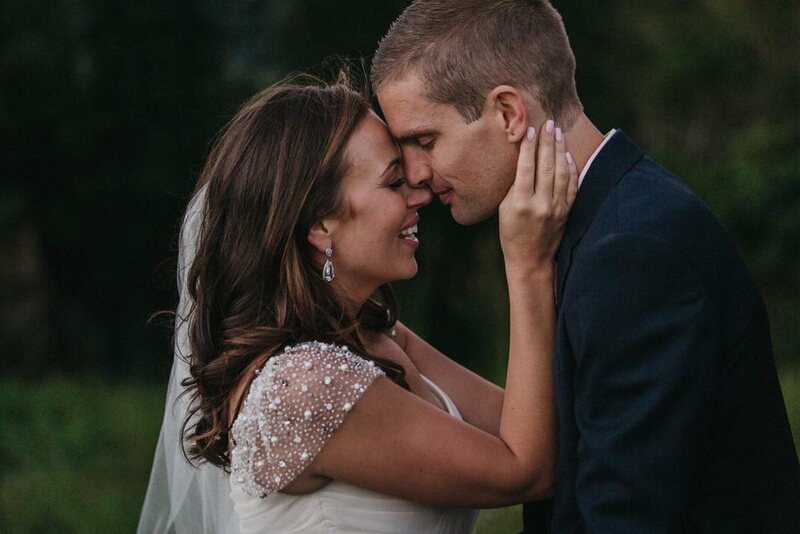 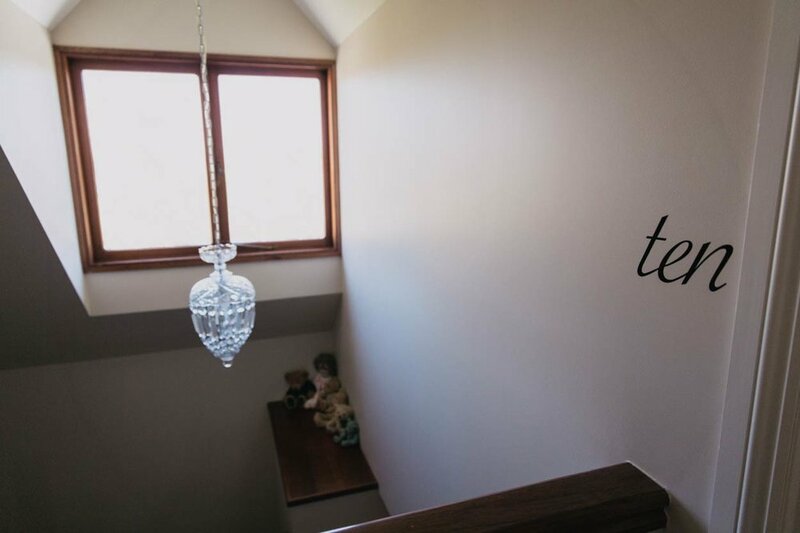 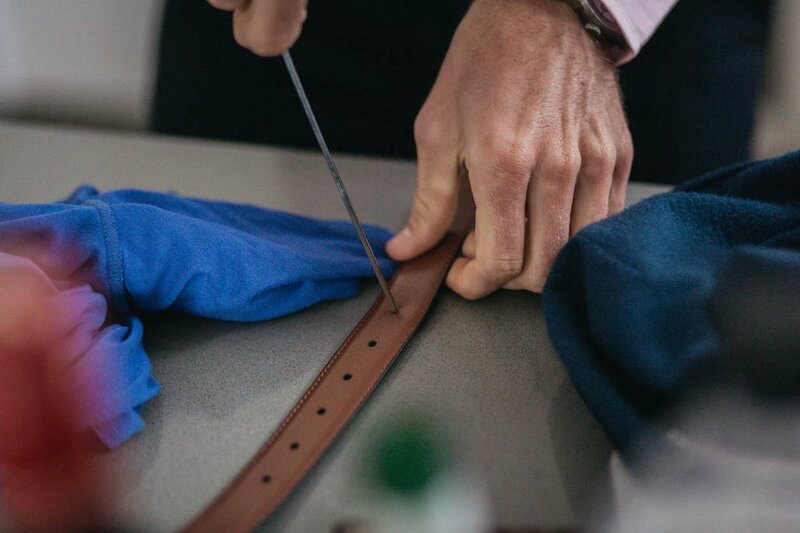 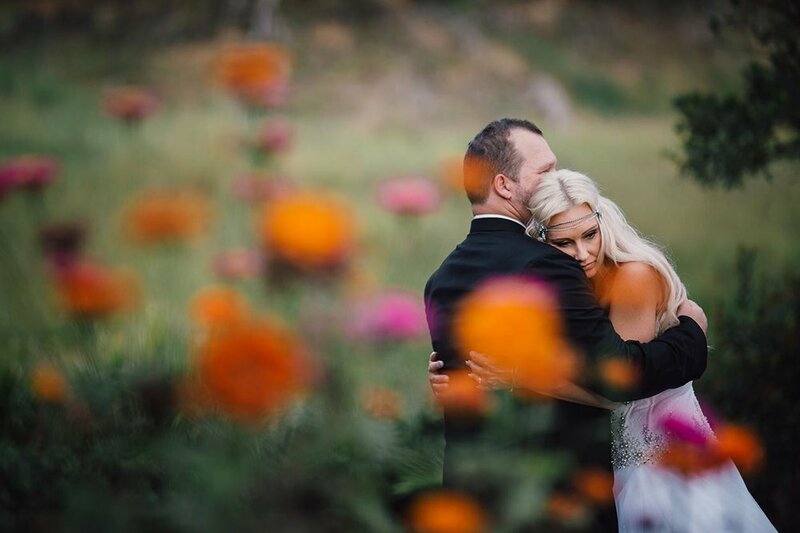 The love stories we have witnessed between the couples we've worked with have been nothing short of uplifting, moving, gut-wrenching and inspiring. 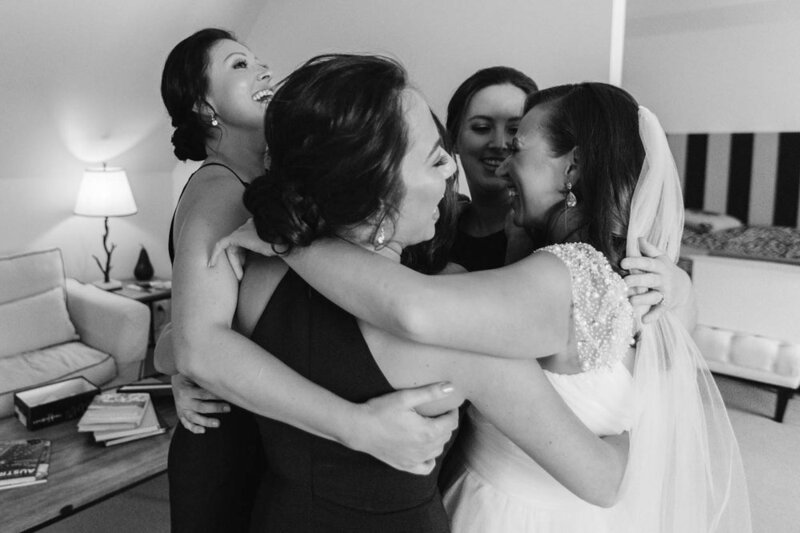 Mikala and I often say to each other after finishing a wedding that we feel like part of the bride's and groom's families - creepy but true :) We always get swept up in the relationships and emotions of what is one of the absolute most important days of their lives. 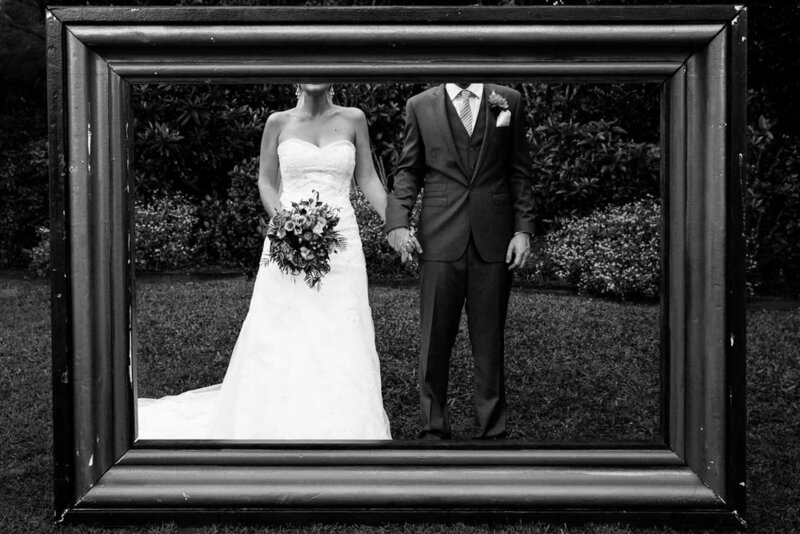 The happiest of new years and a prosperous 2017 to all of you and to the amazing duo's we framed throughout 2016 in our camera lenses. 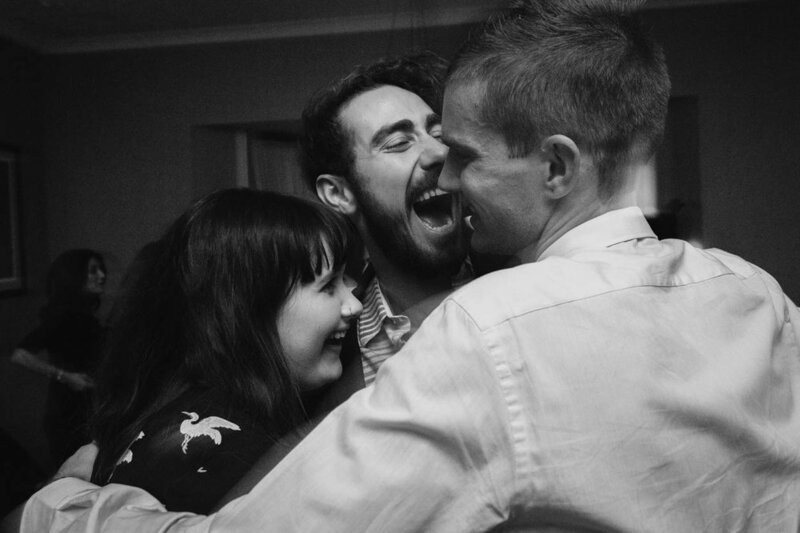 Keep on loving each other just like the day you were married and we'll see some of you when we're the photographers at your friend's weddings soon! 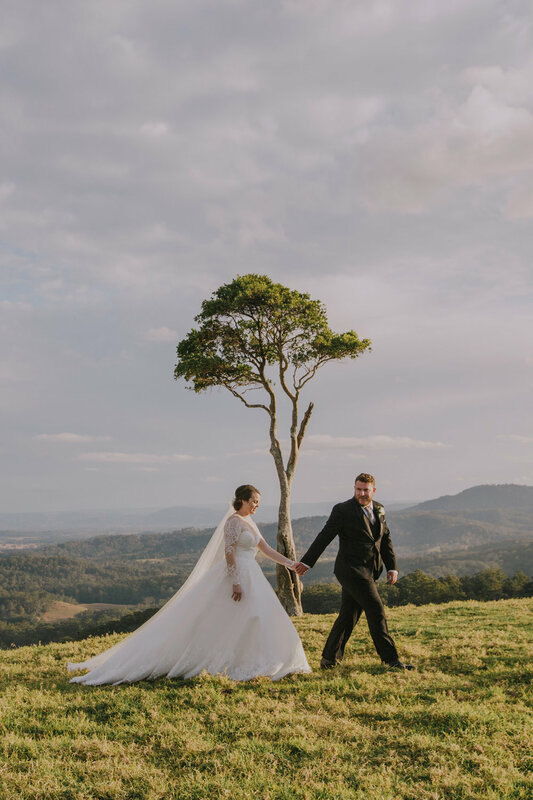 The loved up newly married couple (from Brisbane) then made their grand entrance to the reception in the naturally decorated library deck surrounded by lush forest. 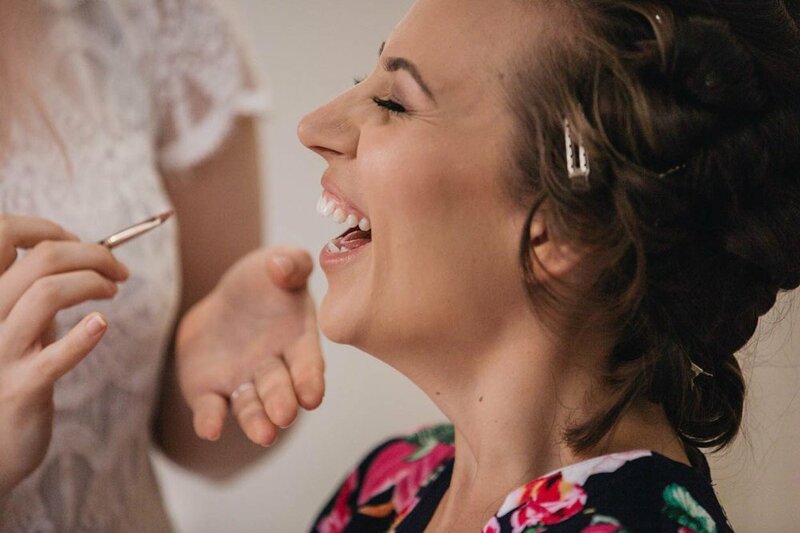 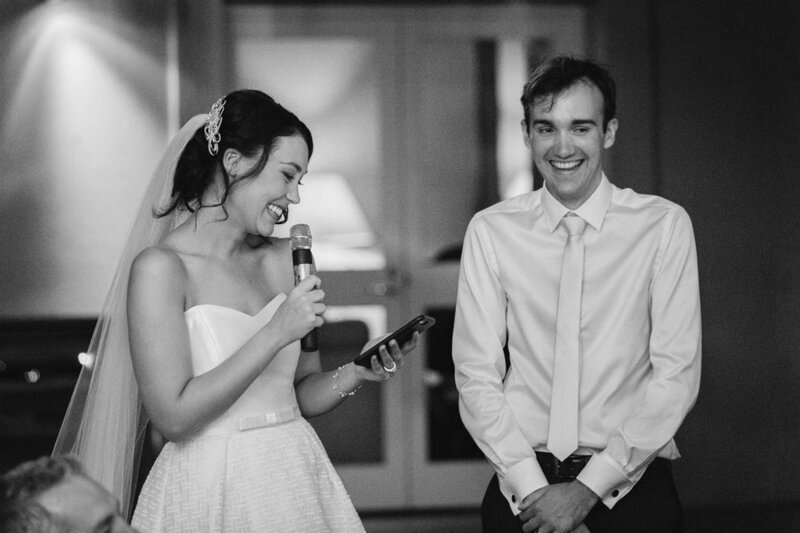 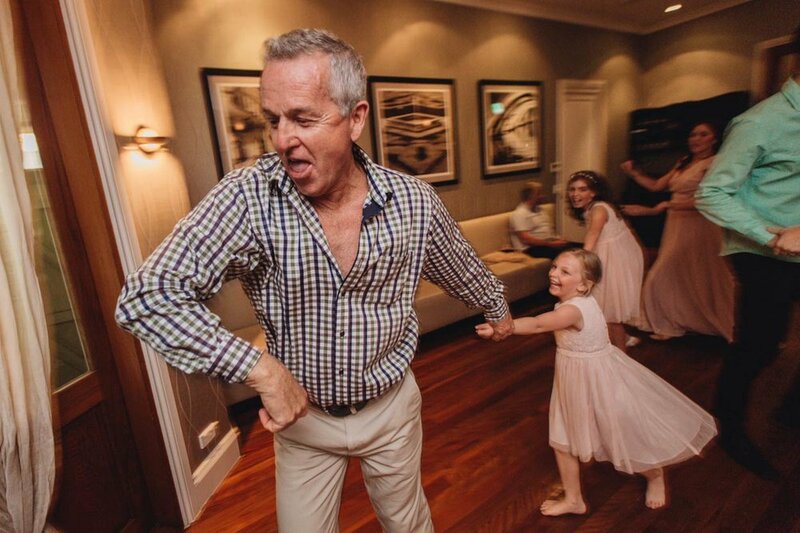 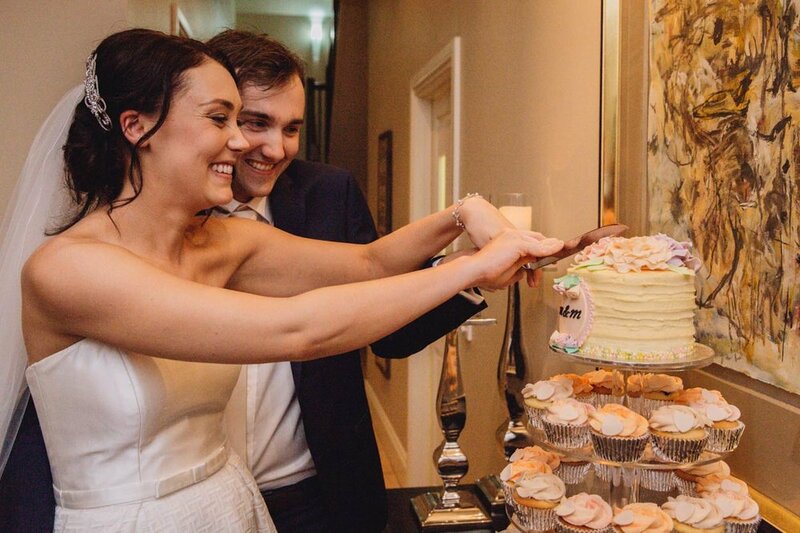 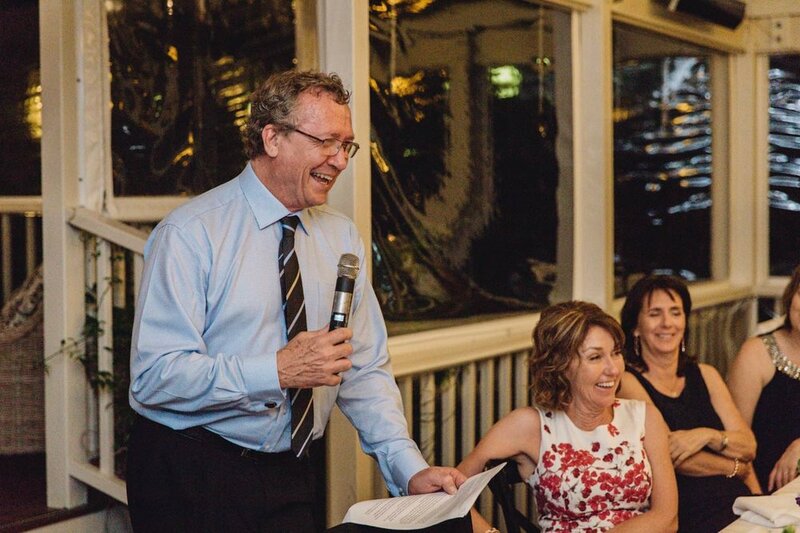 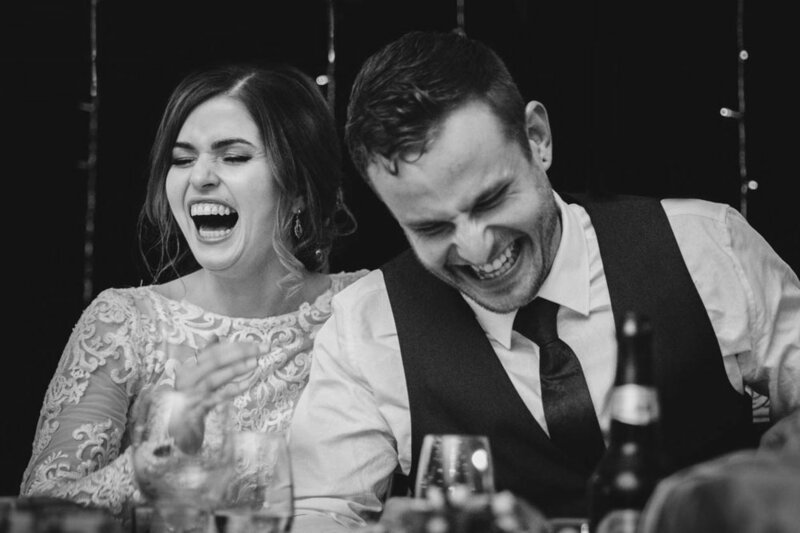 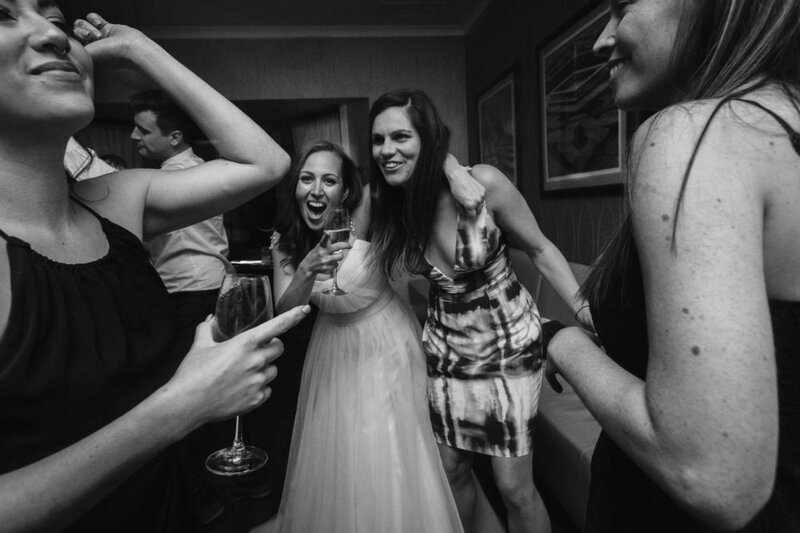 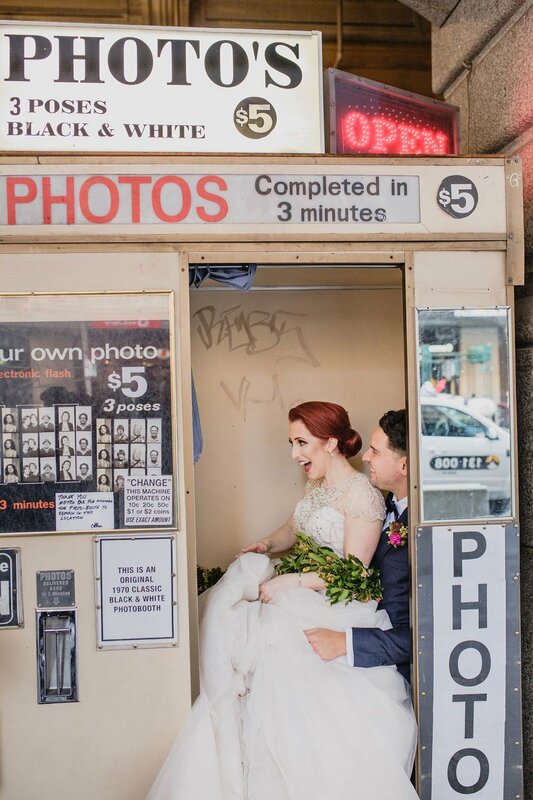 There were so many belly laughs throughout the reception - there would have been many sore cheeks the next morning (maybe a few sore heads too!). 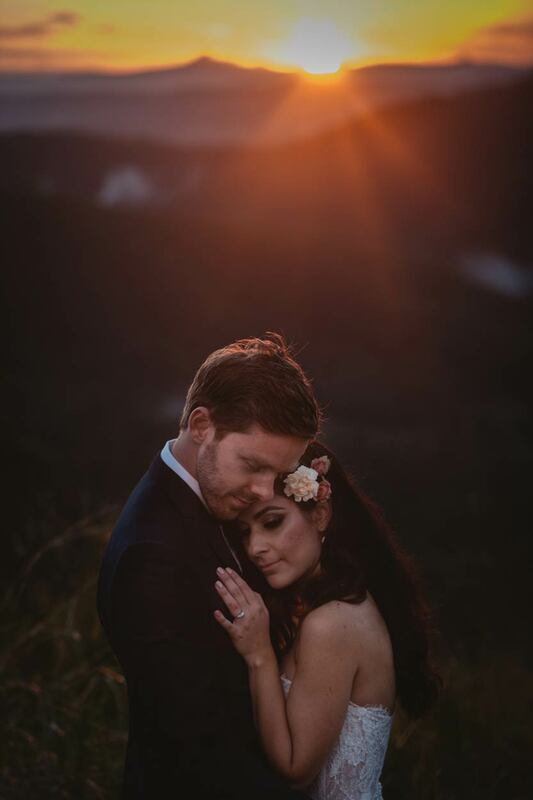 Natasha and Sean are two adventurous spirits who live on the Sunshine Coast but love to travel the world. 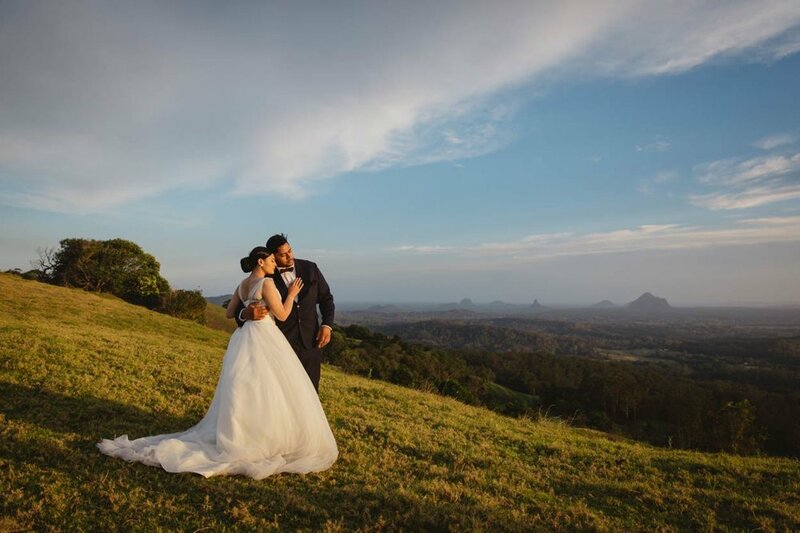 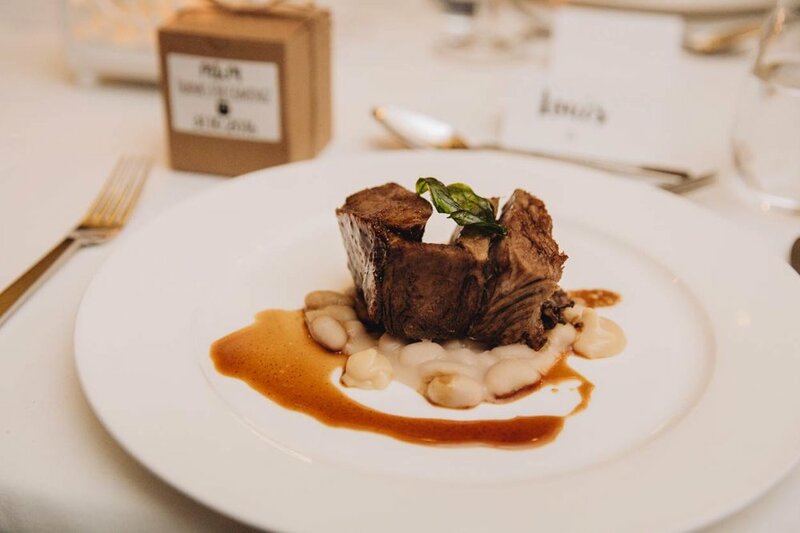 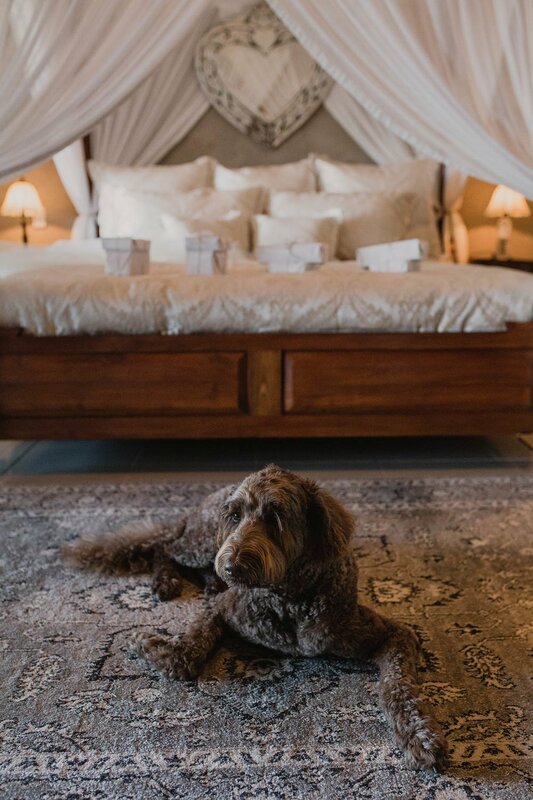 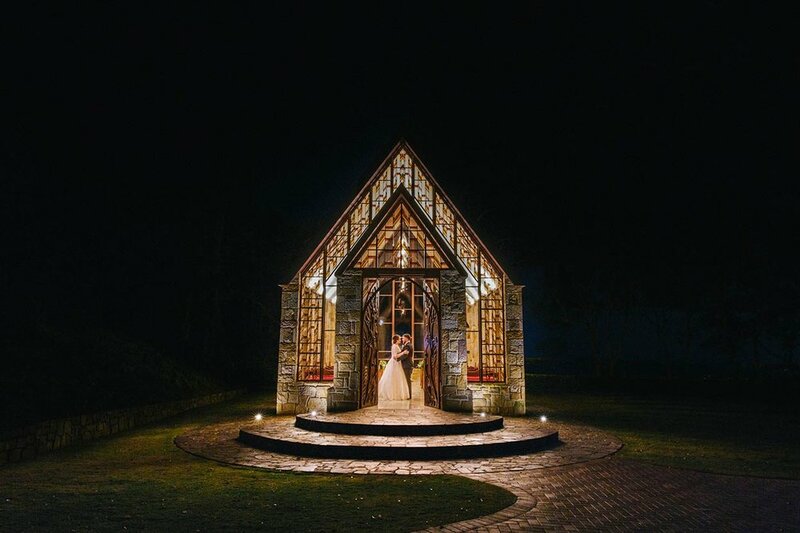 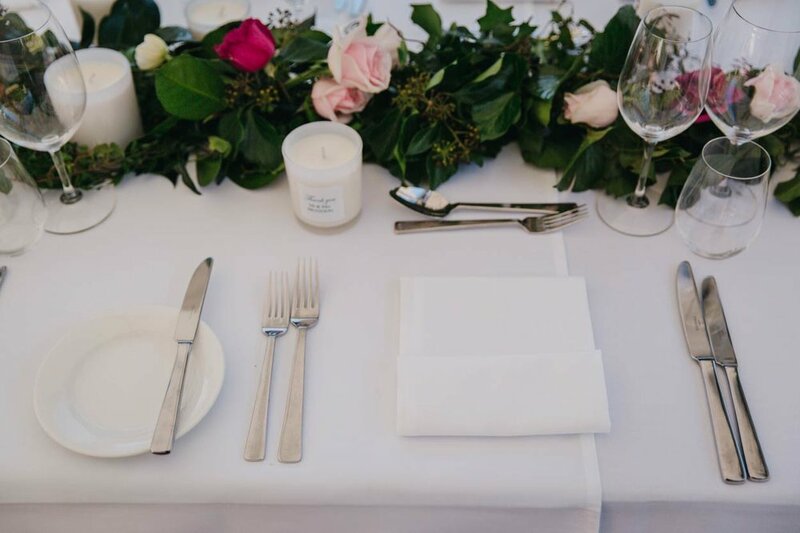 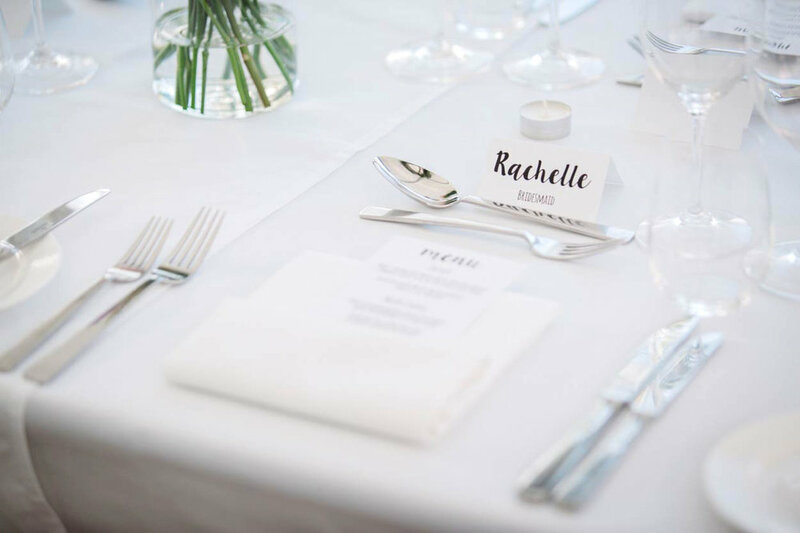 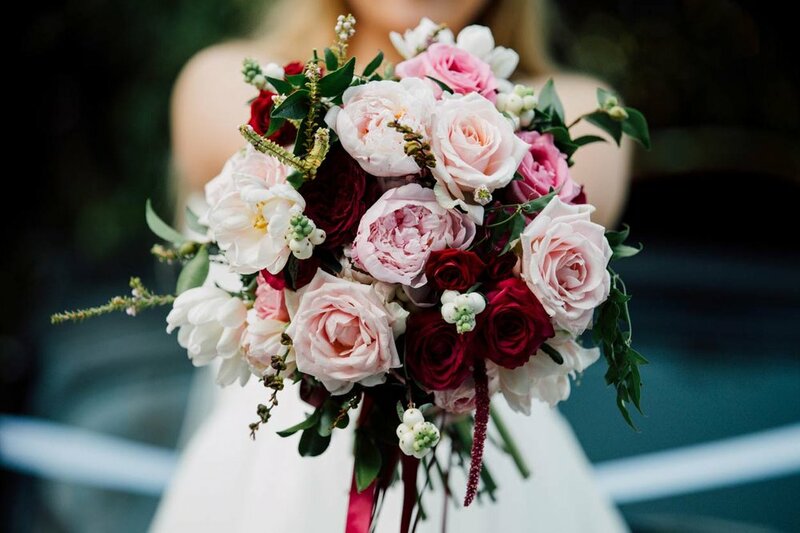 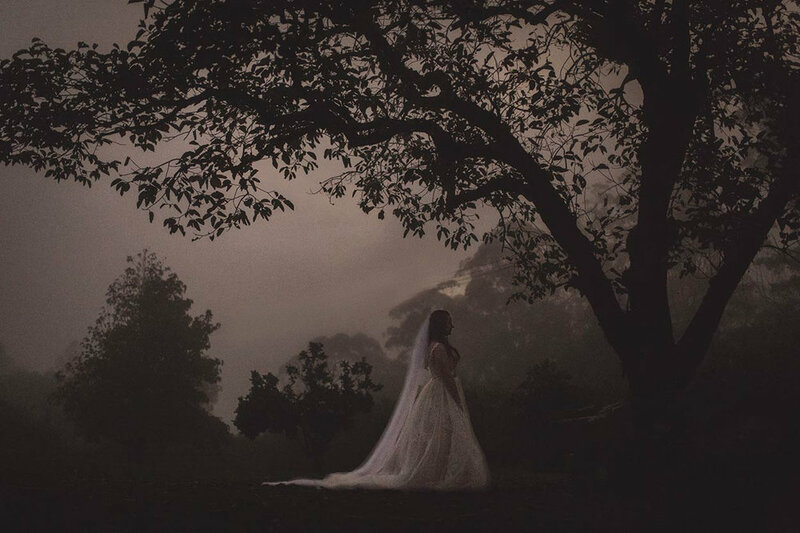 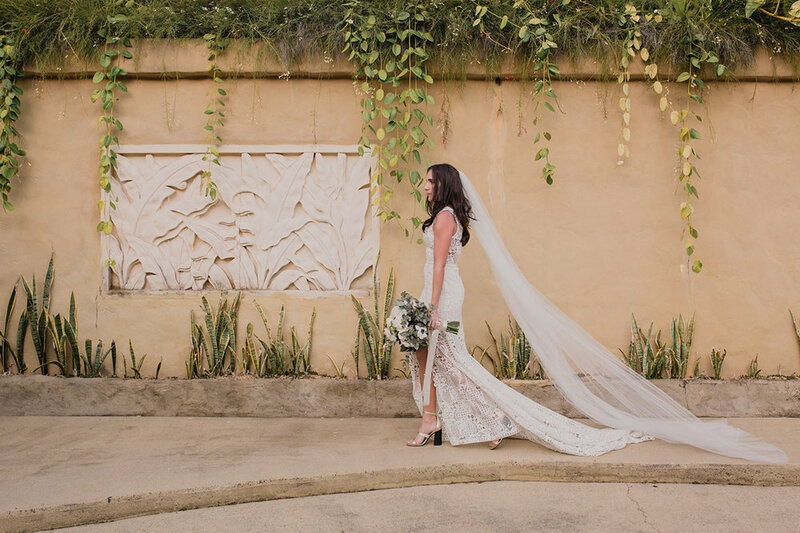 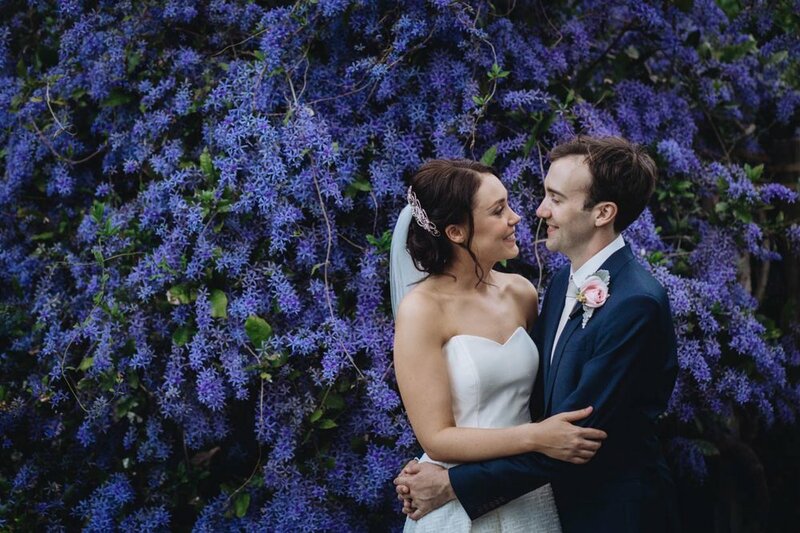 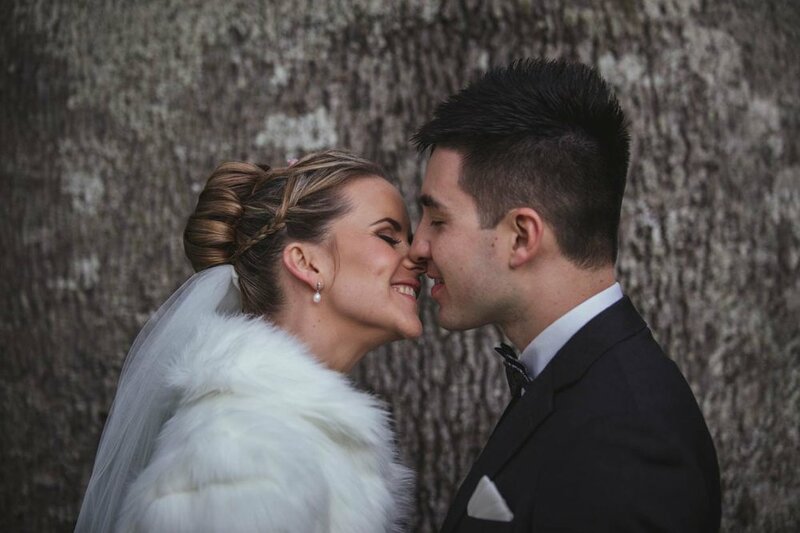 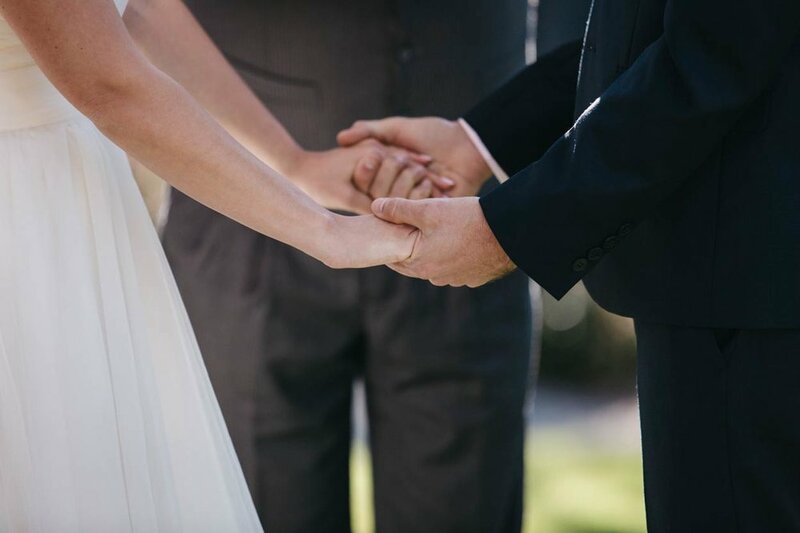 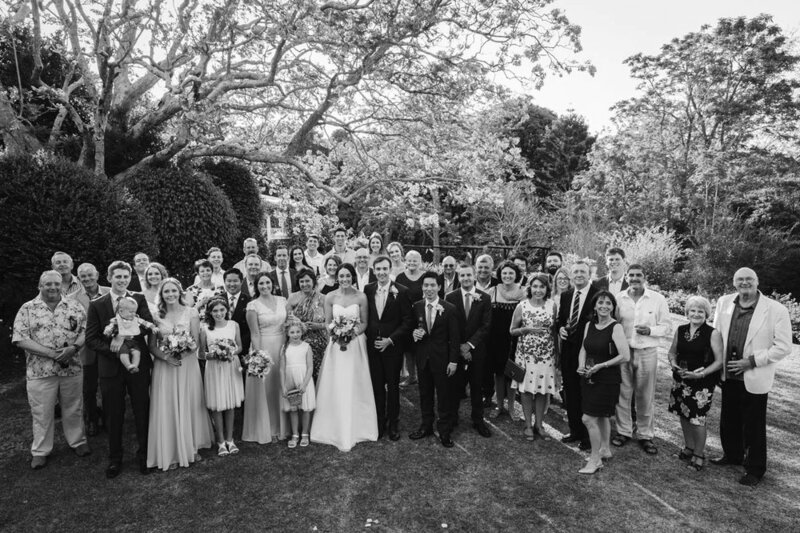 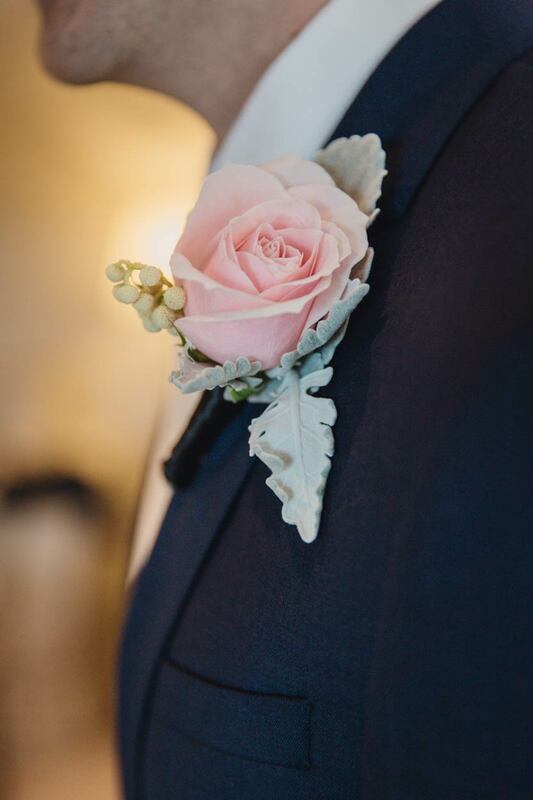 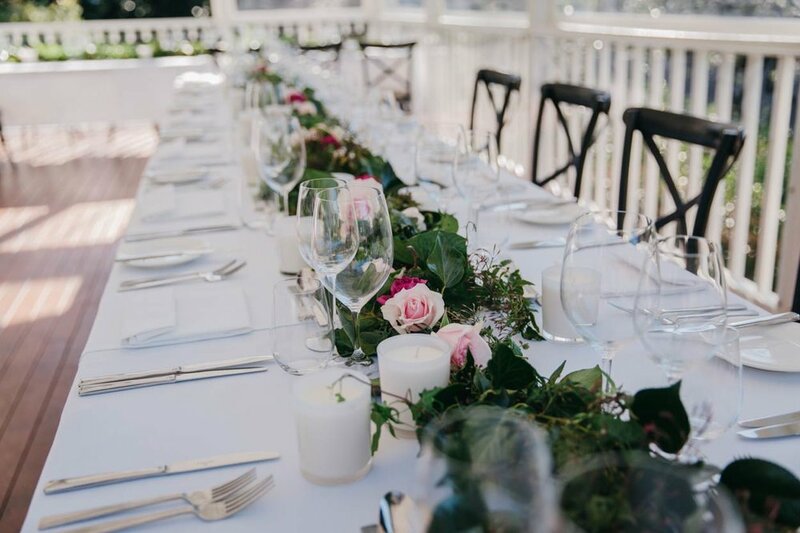 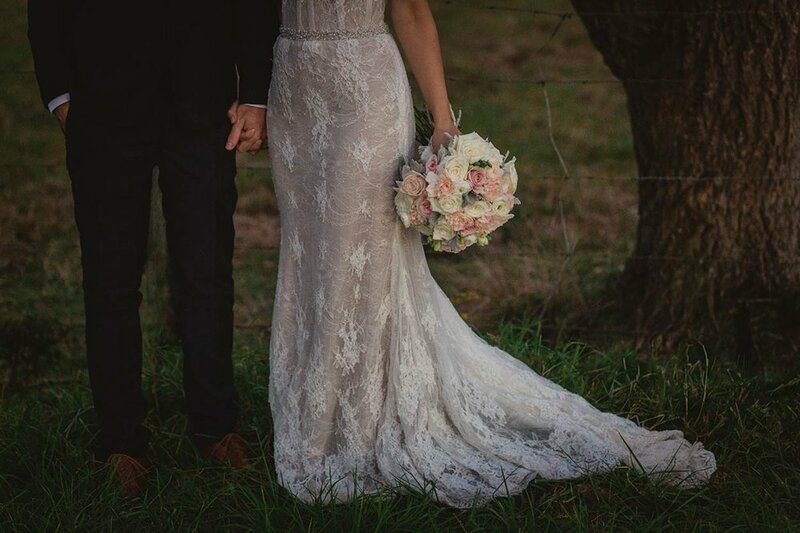 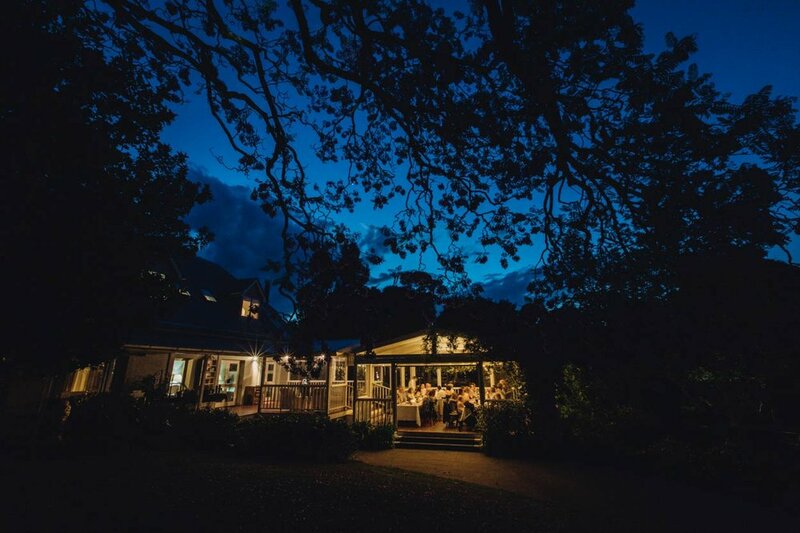 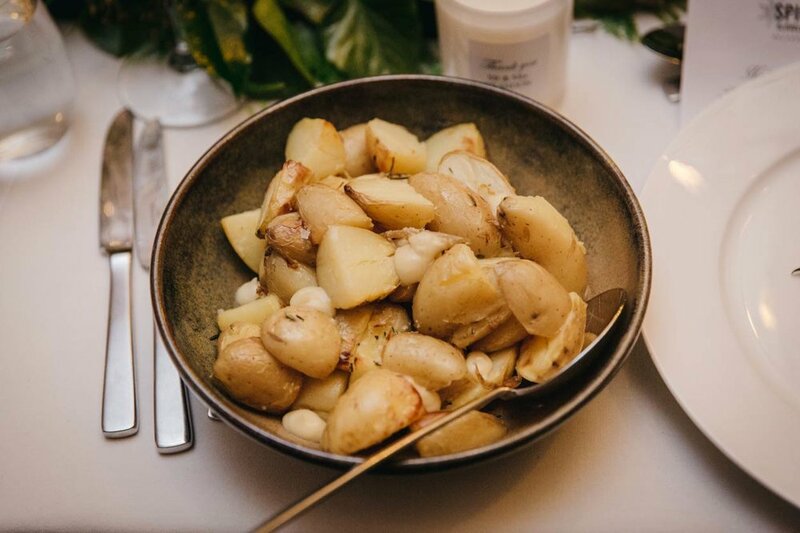 They chose one of the absolute premium and most beautiful venues to marry each other in Montville (Sunshine Coast Hinterland), Spicers Clovelly Estate. 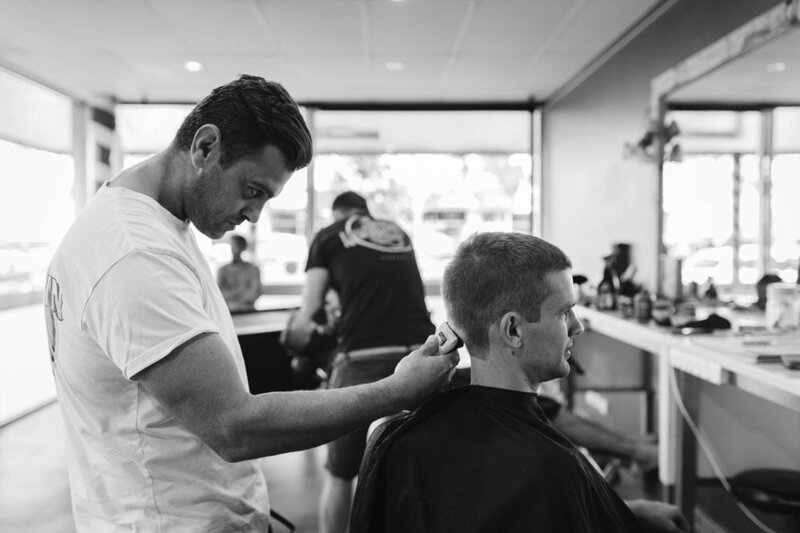 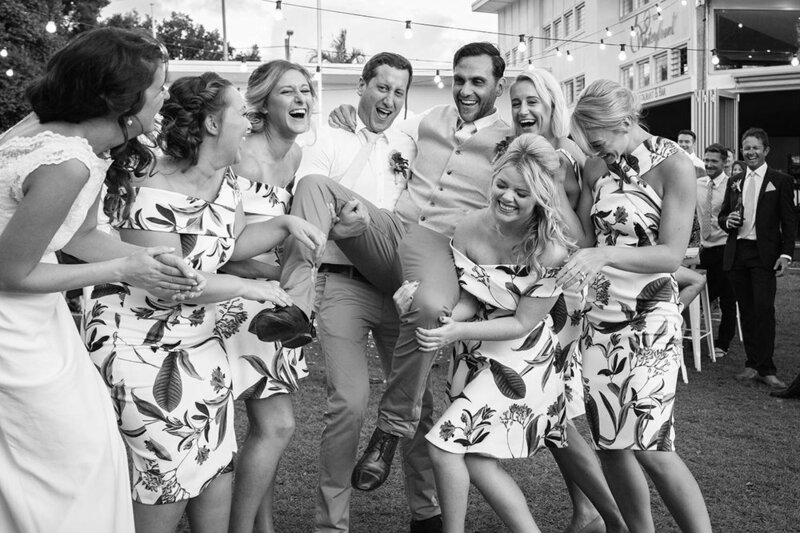 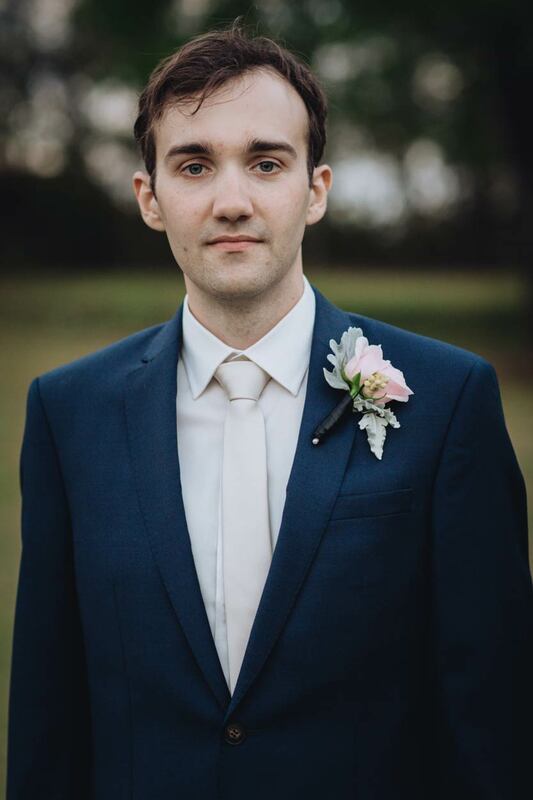 Sean and his groomsmen chose to get a hair and face trim at The Mad Barbers in Mooloolaba before getting ready and heading up to Spicers Clovelly Estate to join his lovely bride. 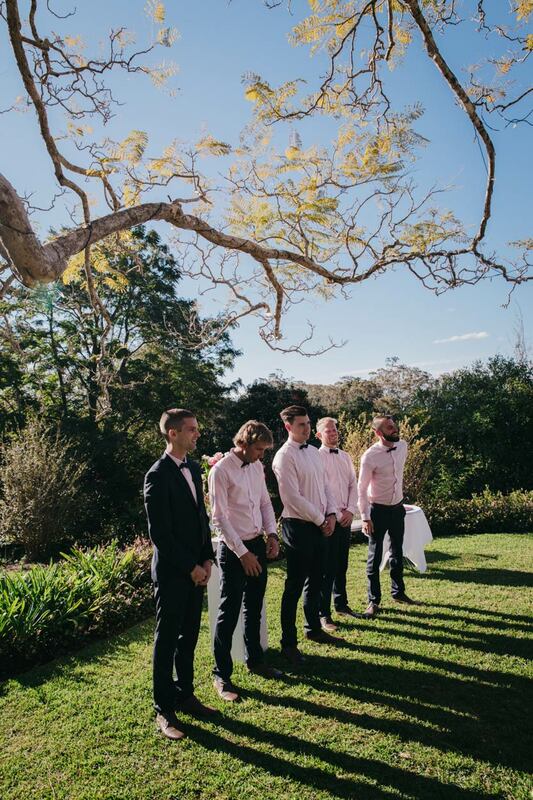 This was the perfect way for the groom and groomsmen to start their day - a round of shots and all! 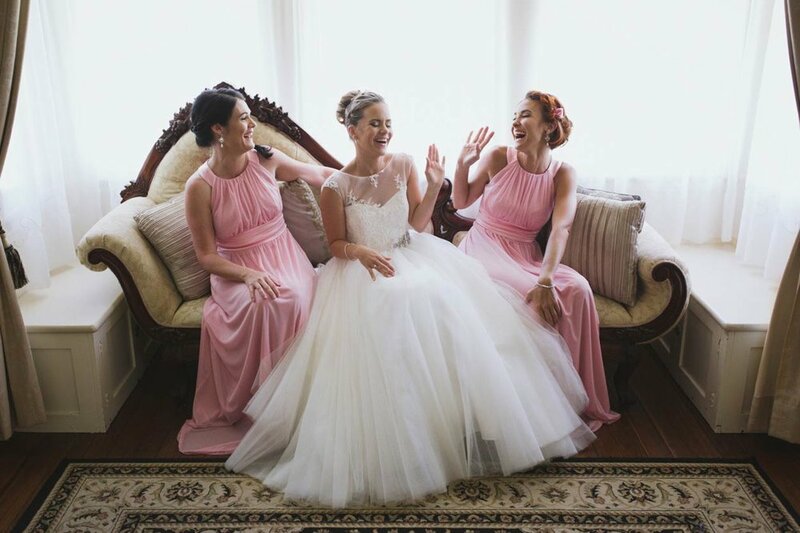 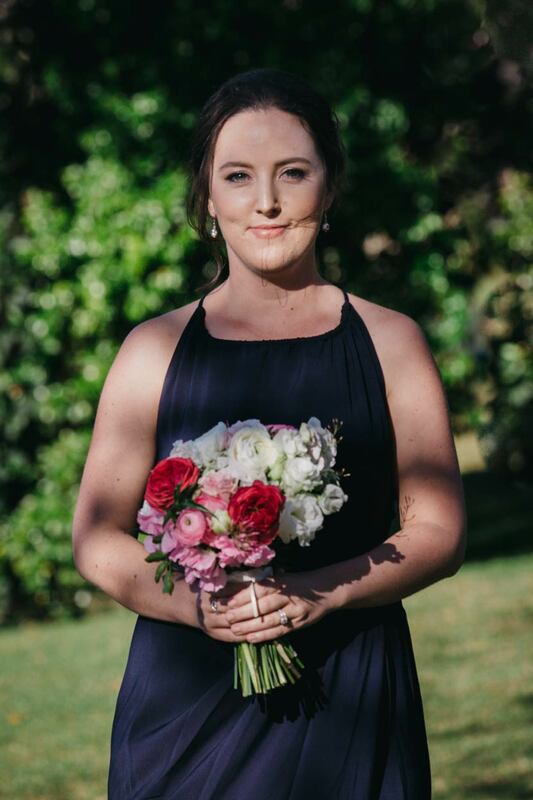 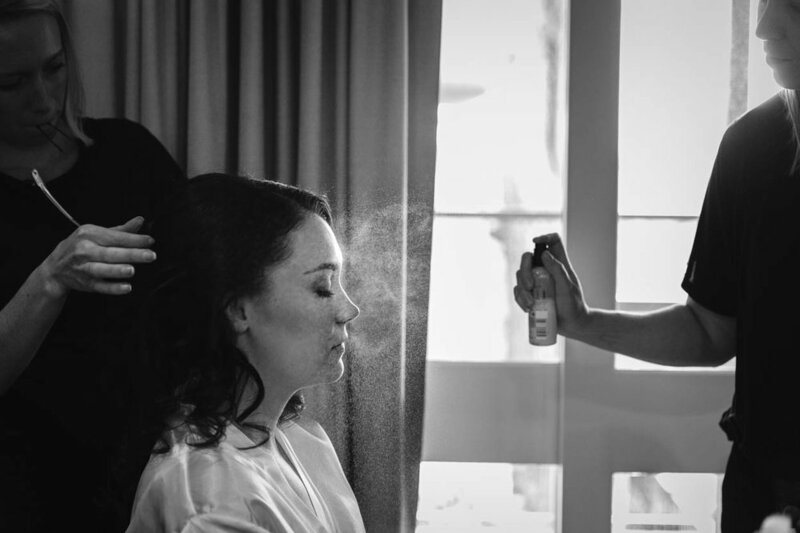 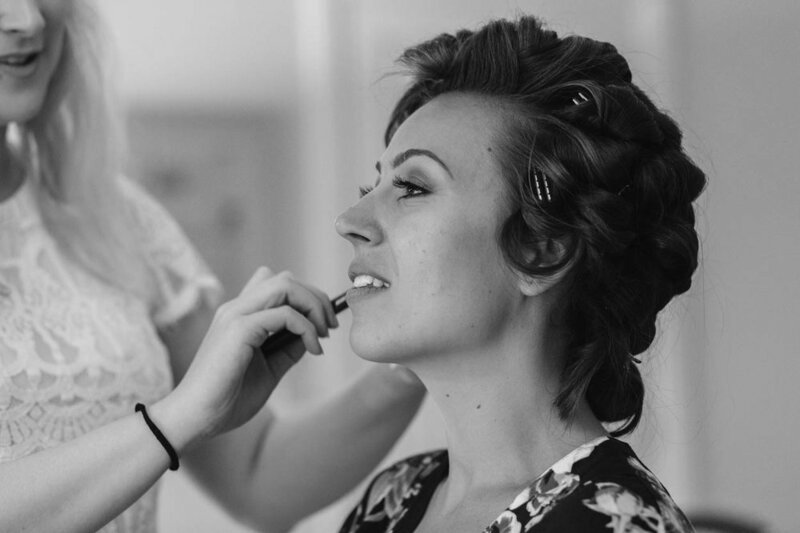 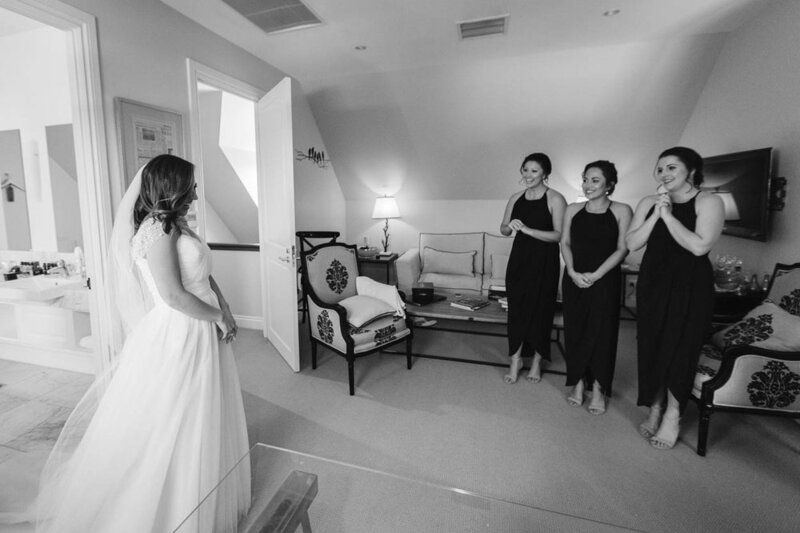 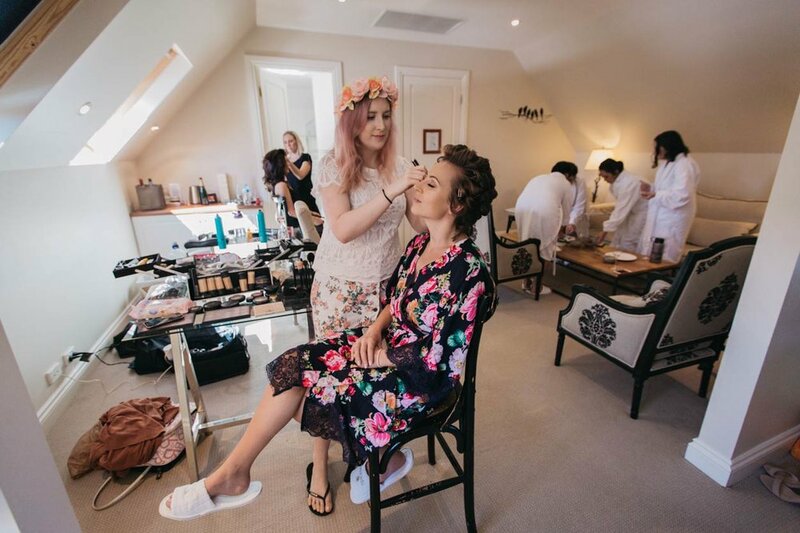 Natasha prepared and preened with her bridesmaids at Spicers Clovelly in style. 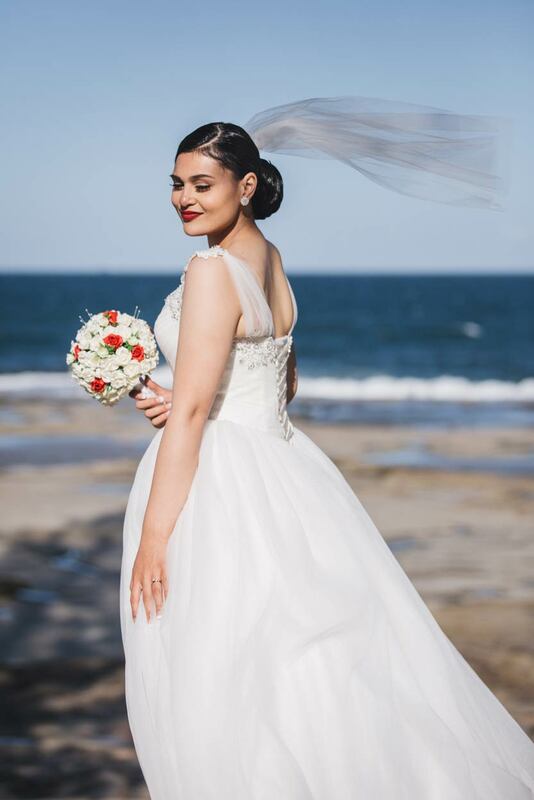 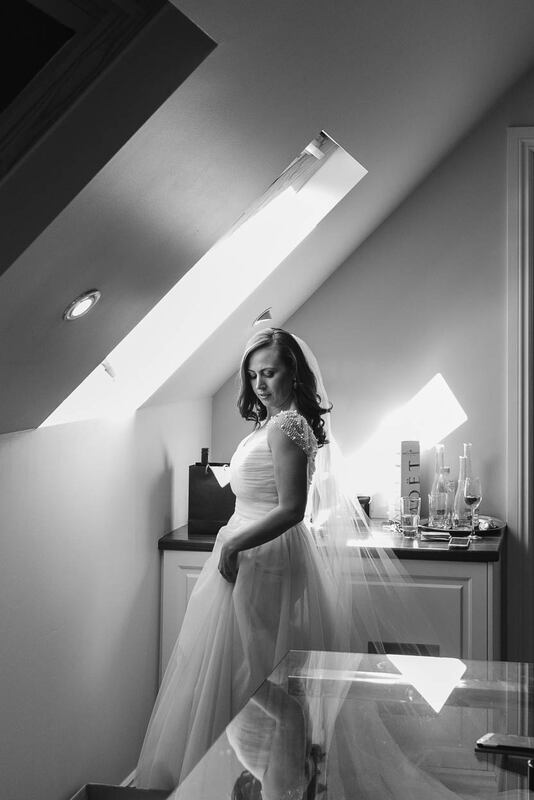 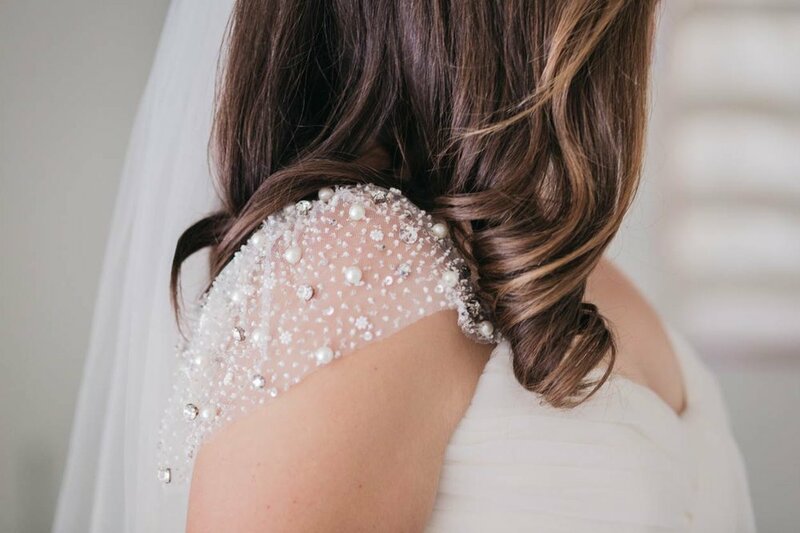 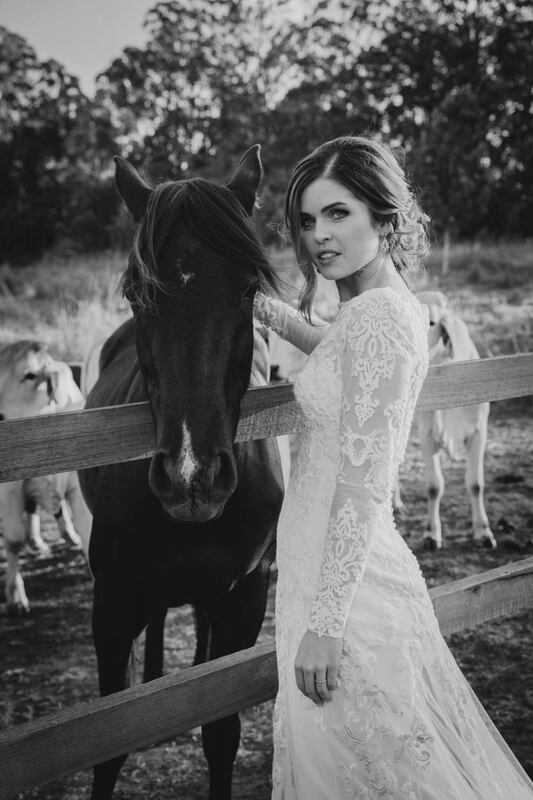 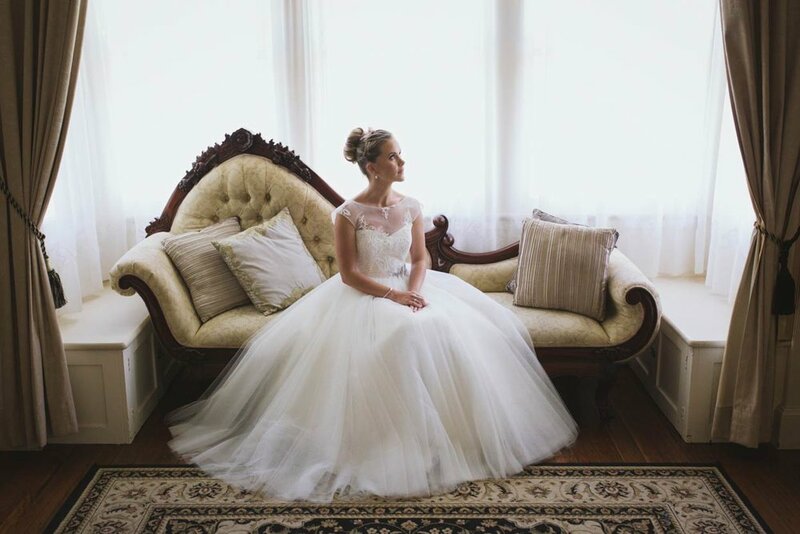 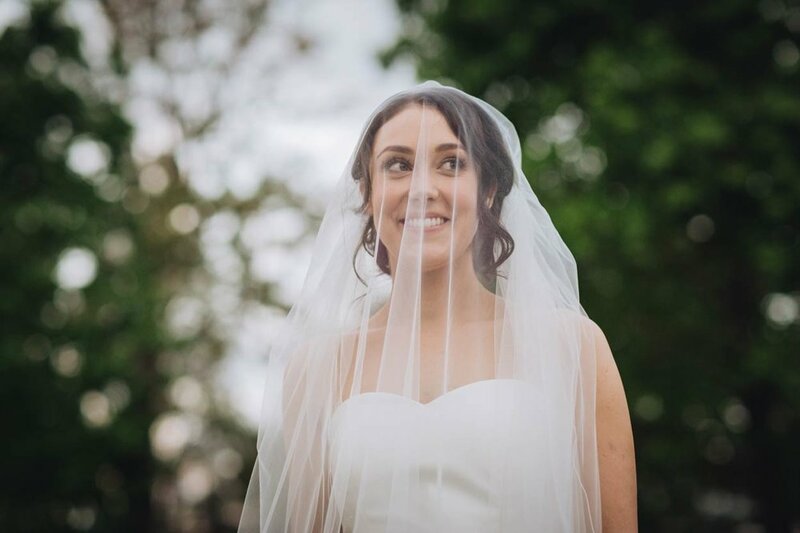 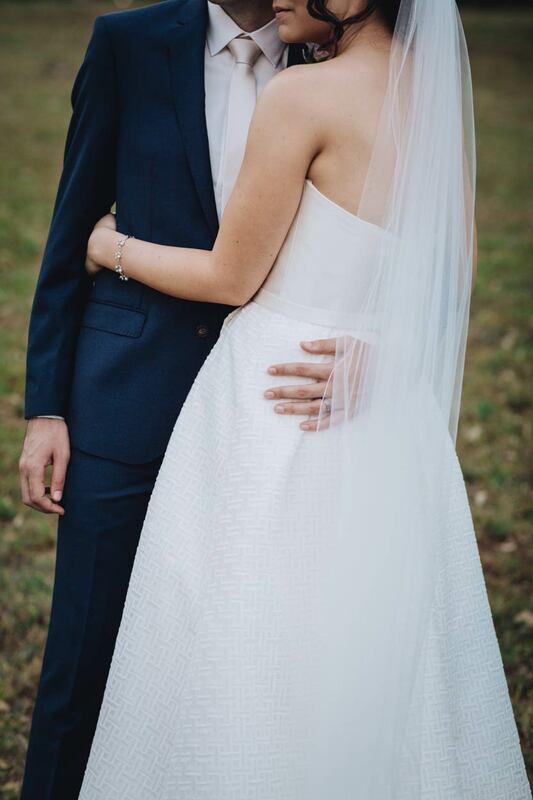 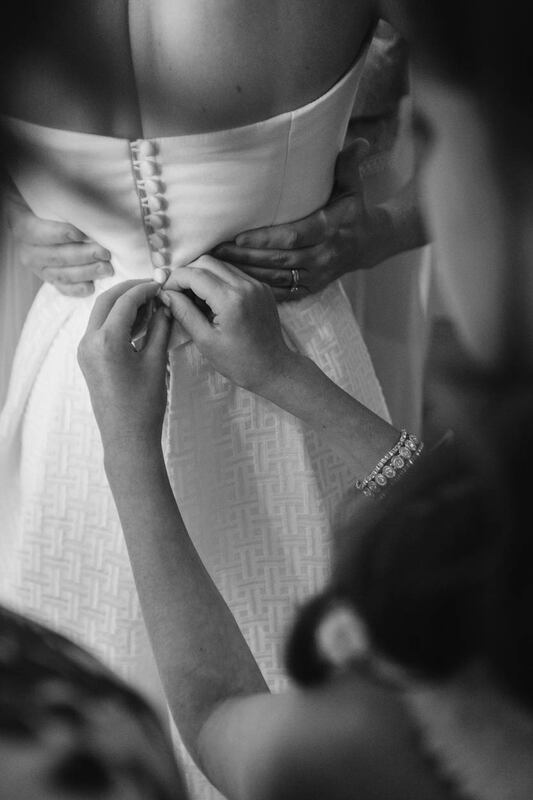 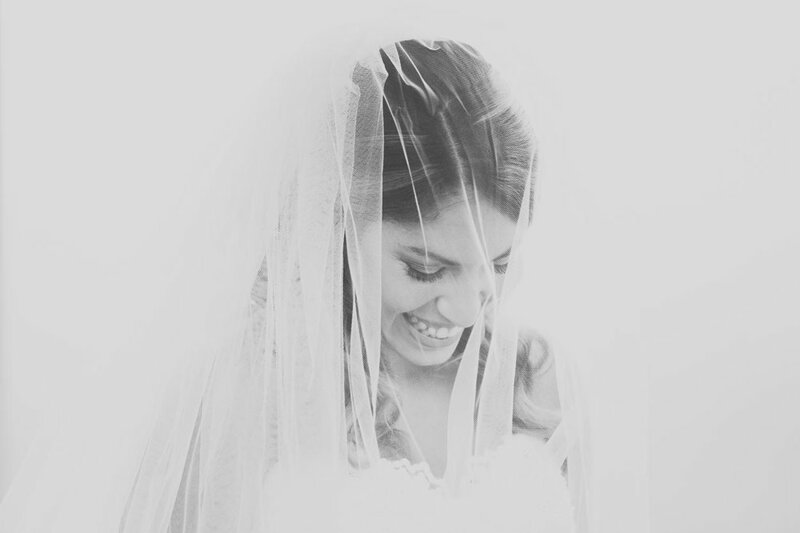 Her absolutely amazing dress by Christos Bridal suited her perfectly. 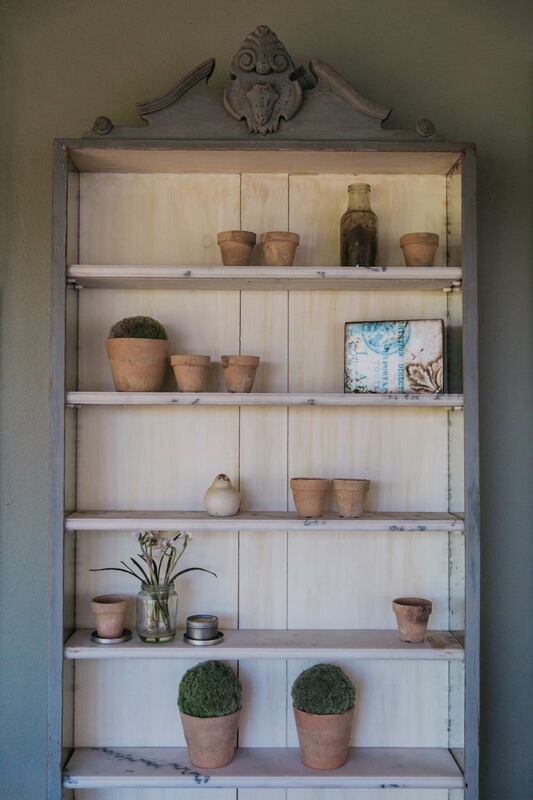 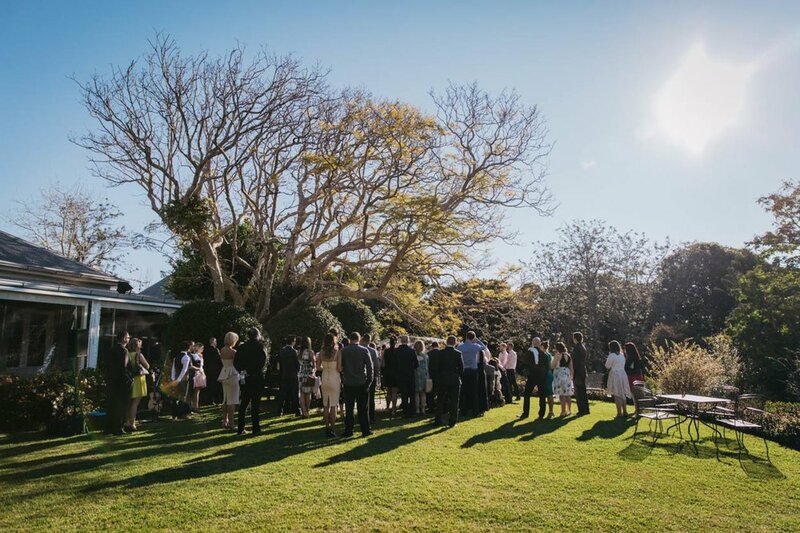 Everything about Spicers Clovelly is stunning - the furniture, the walls, the art, the gardens, the views. 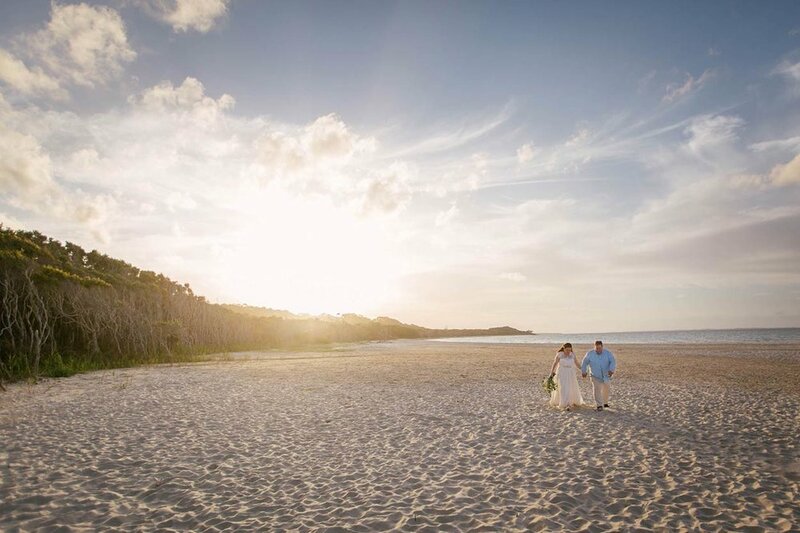 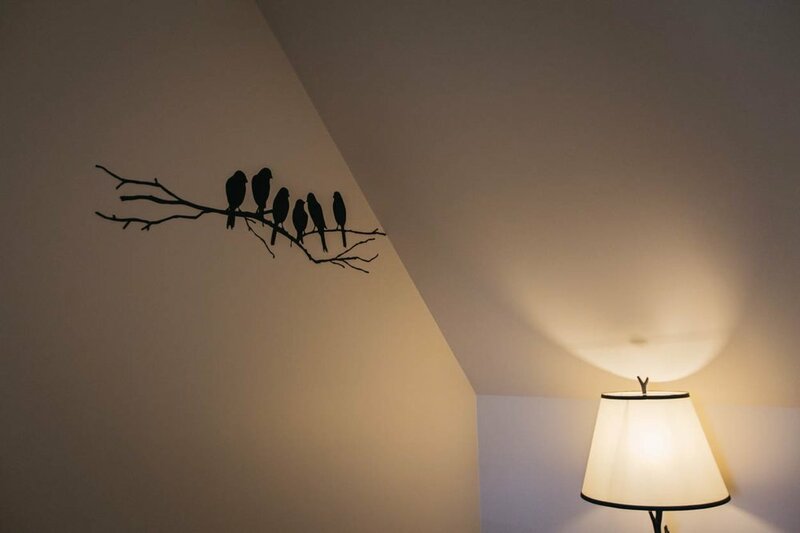 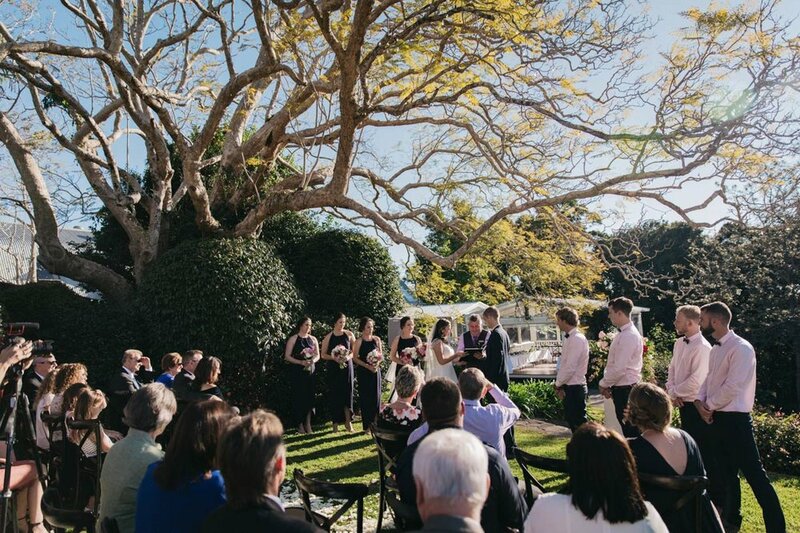 They are one of the most popular venues on the Sunshine Coast for a reason (many reasons!). 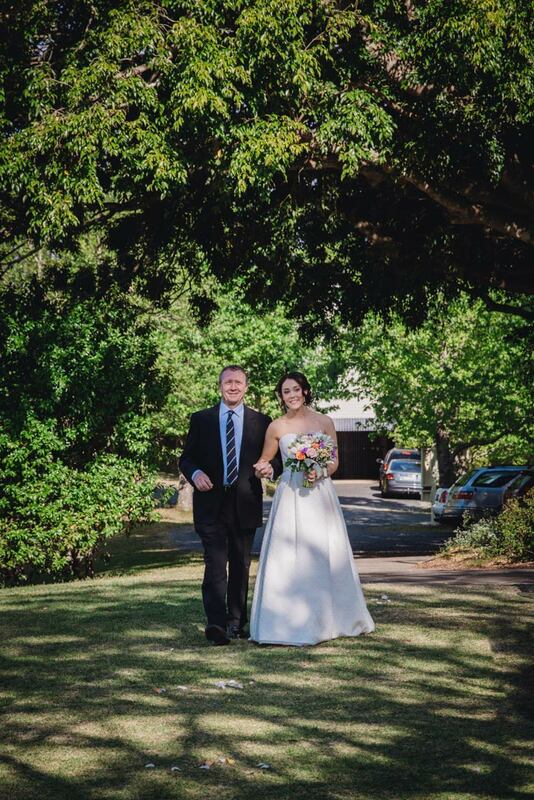 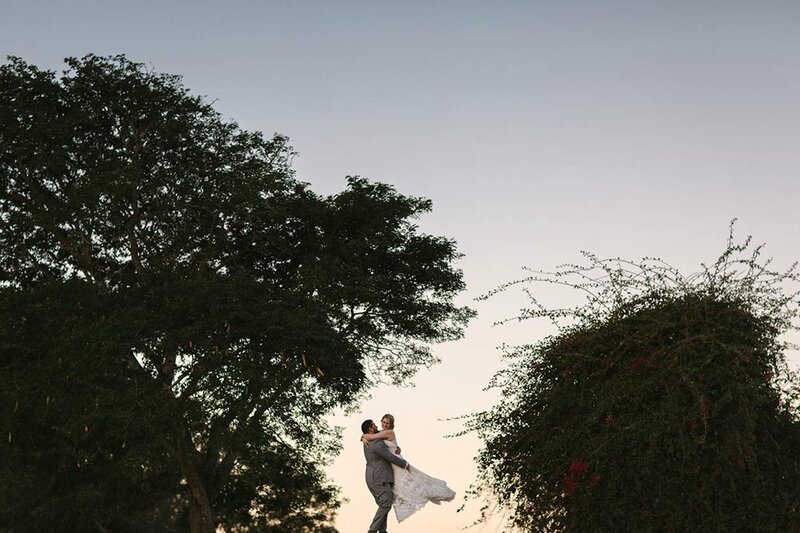 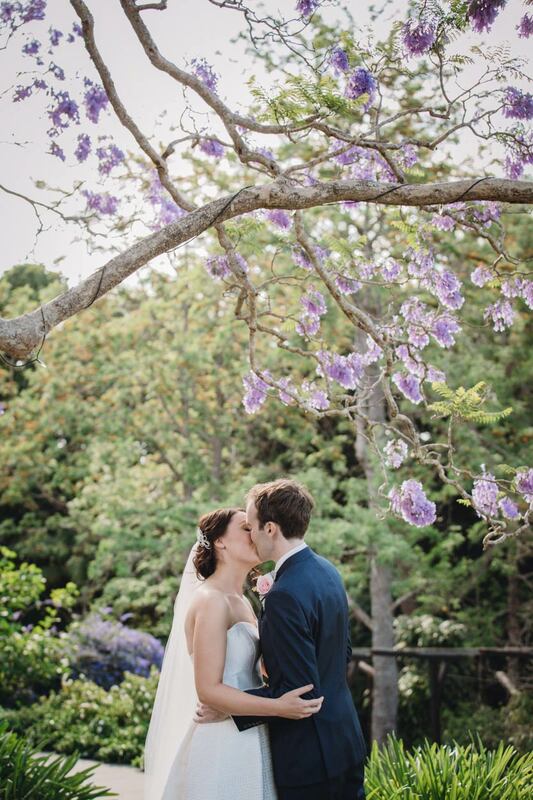 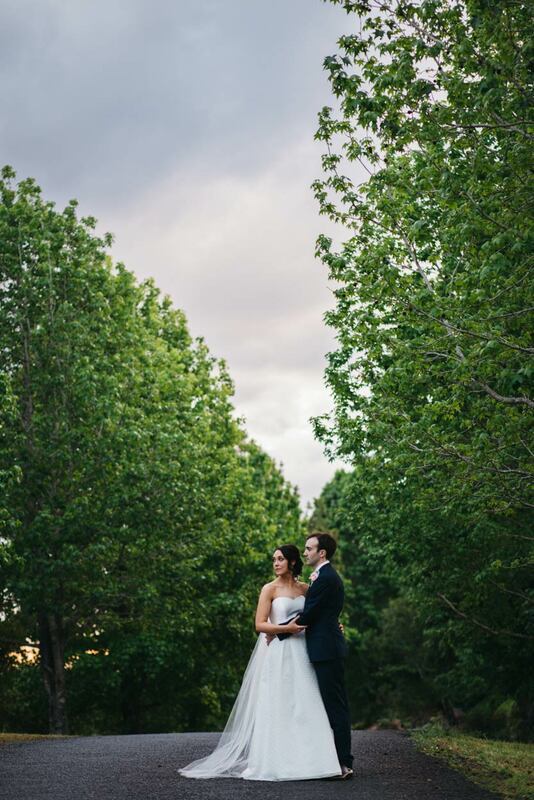 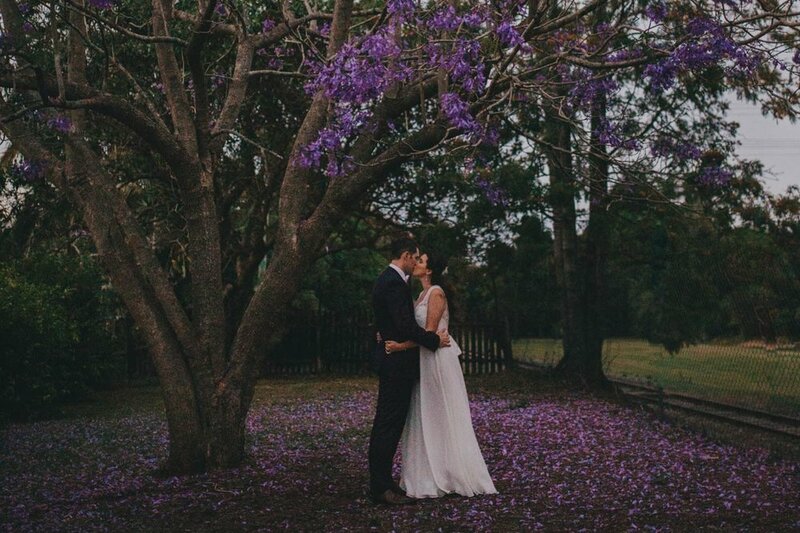 The Jacaranda Tree was the perfect spot for this wonderful bride and groom to exchange their vows under. 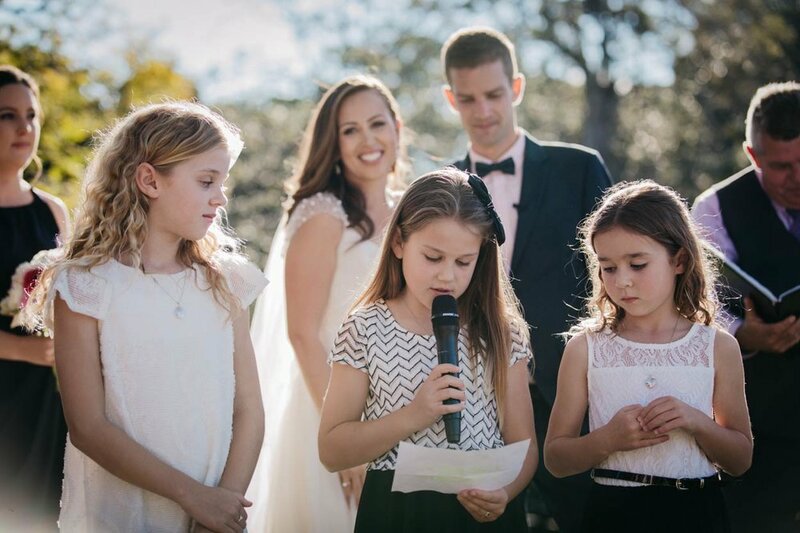 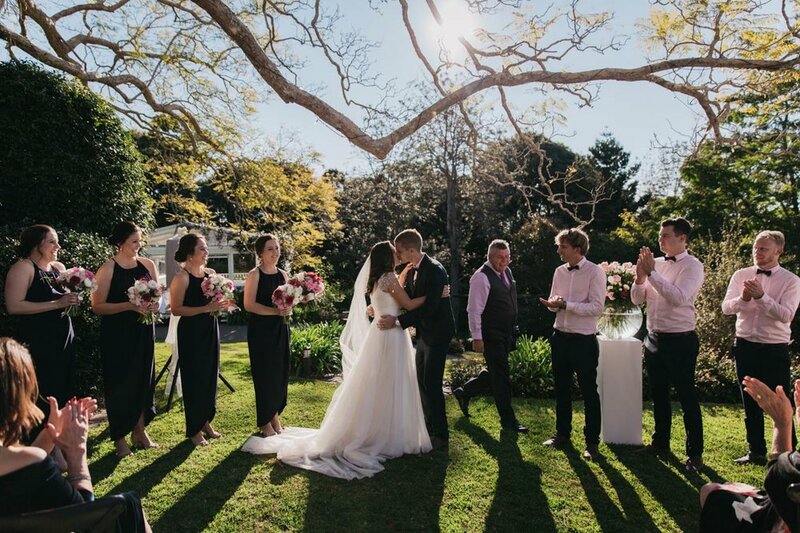 Natasha and Sean could not have hoped for a more perfect day to host their wedding in front of their beloved family and friends. 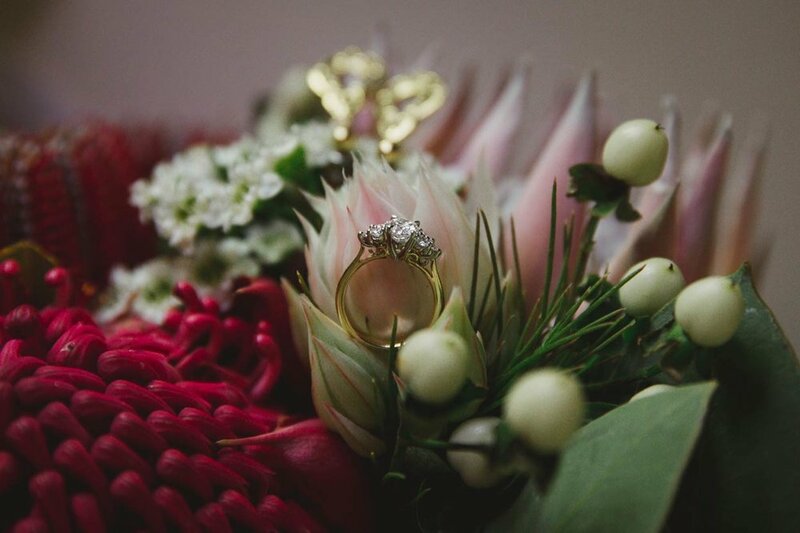 Their choice of flowers was stunning and beautifully designed by Mondo Floral Designs. 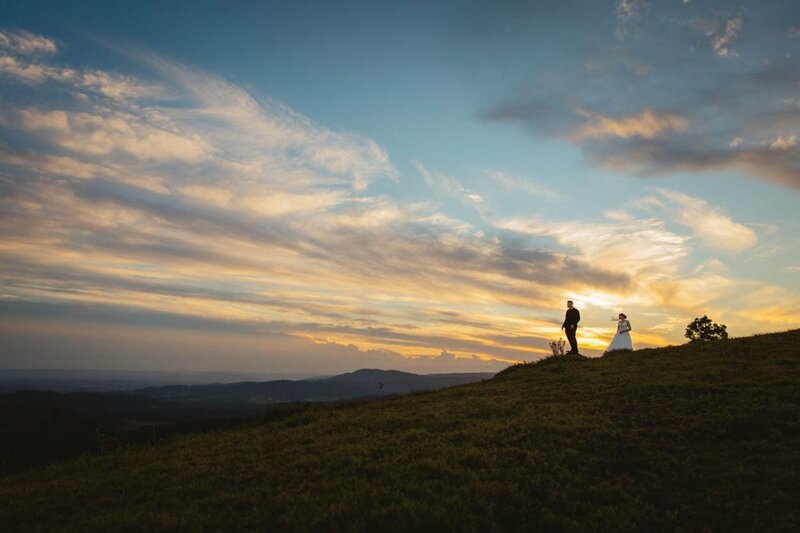 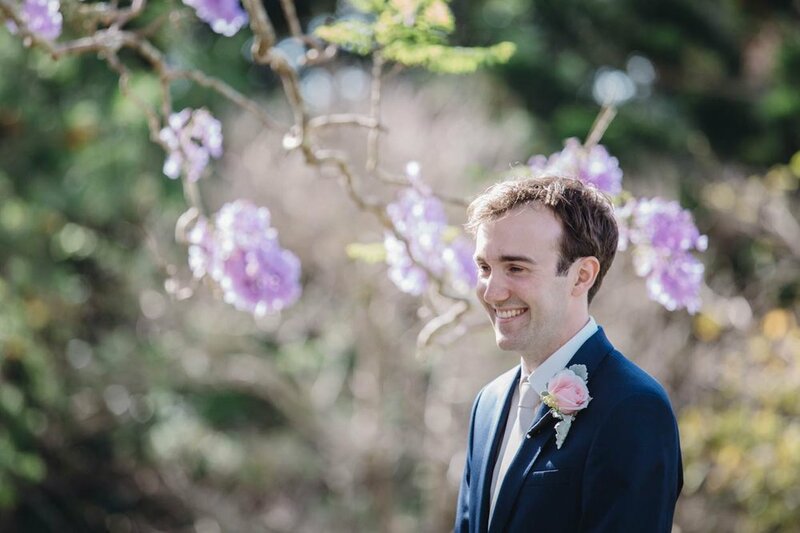 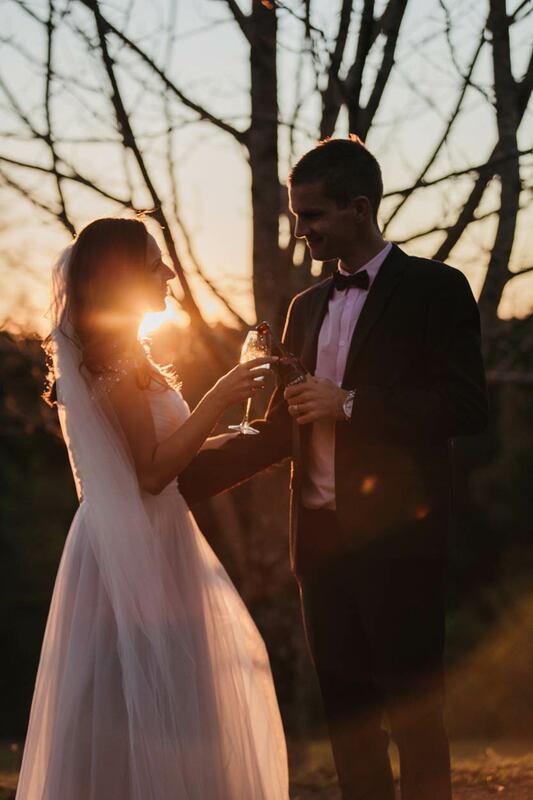 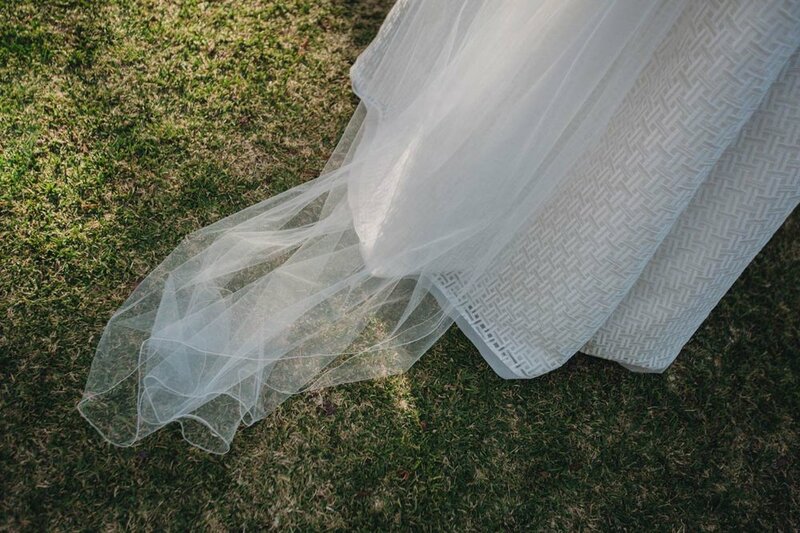 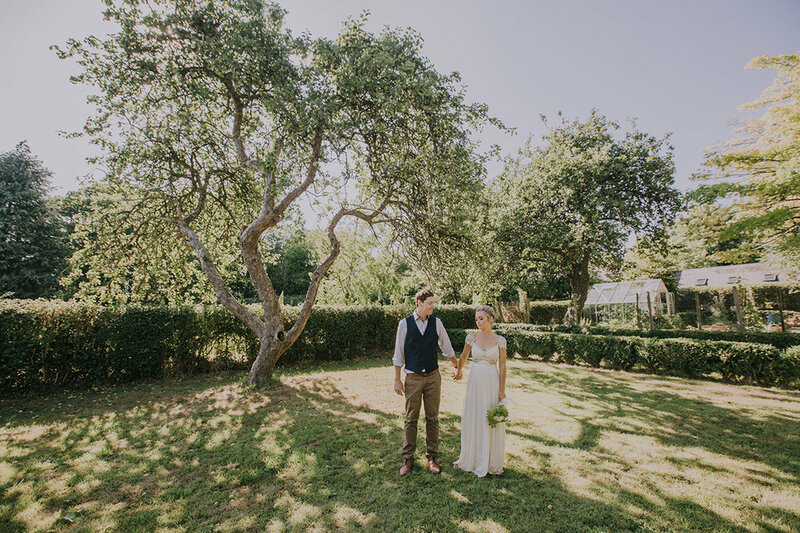 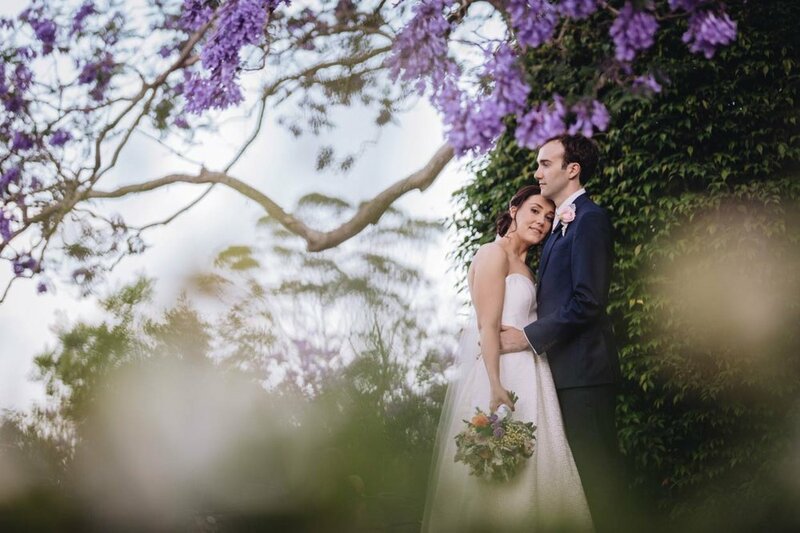 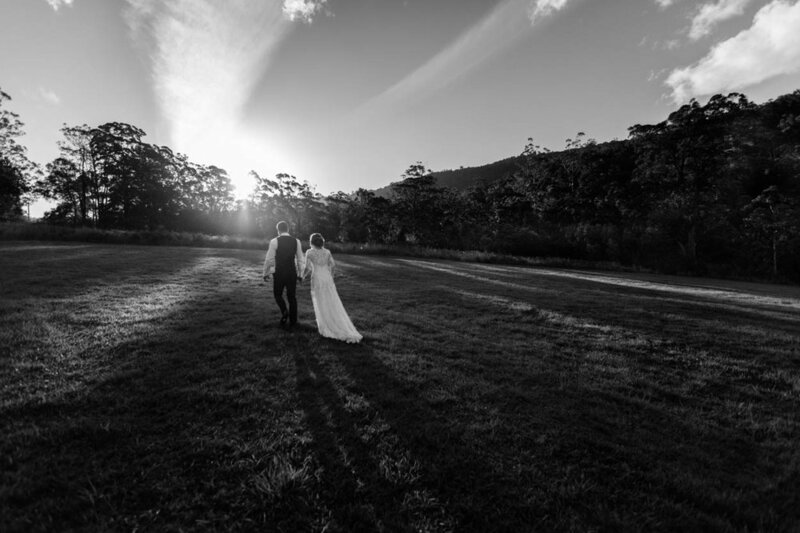 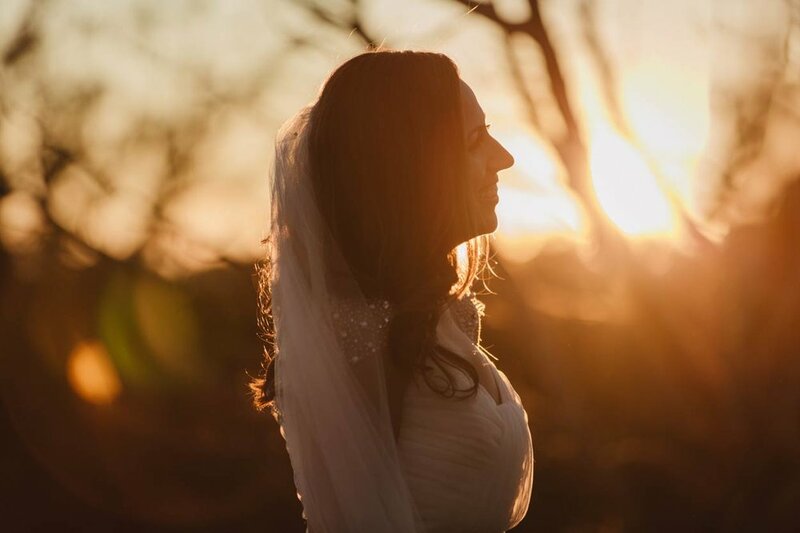 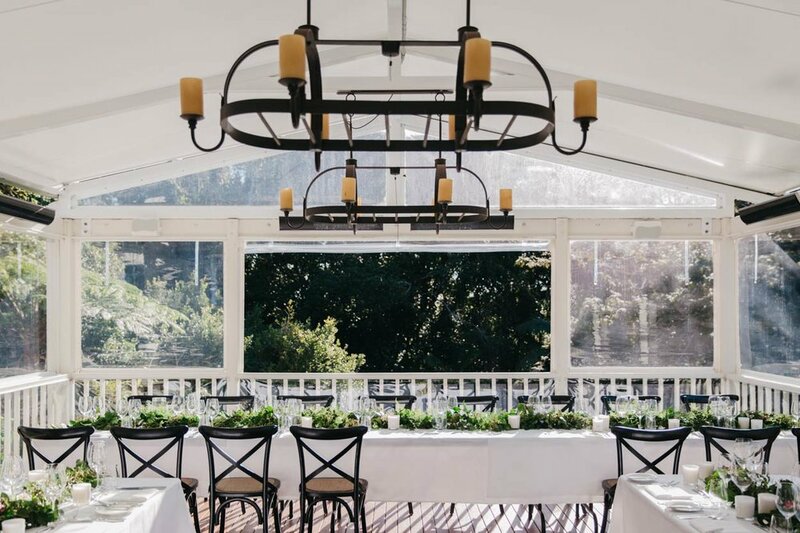 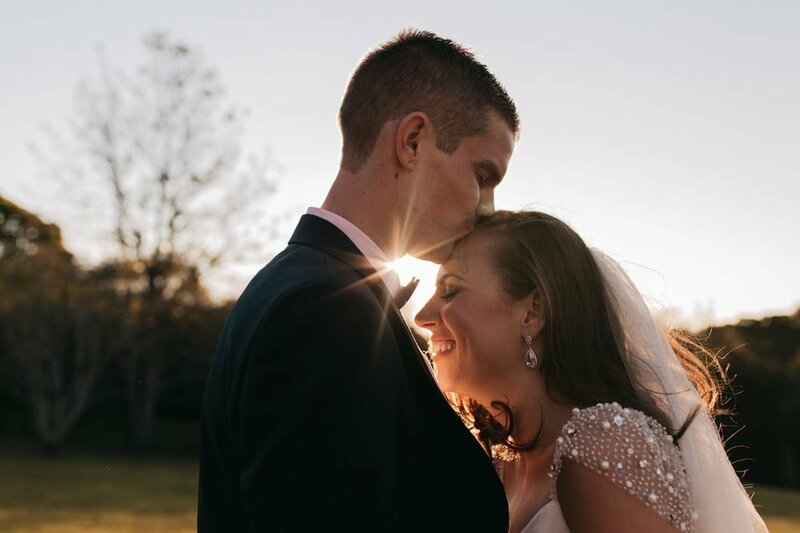 We explored the gorgeous grounds of Montville's Spicers Clovelly Estate after the ceremony where the bride and groom were bathed in the most glorious winter sunshine during the golden hour of sunset. 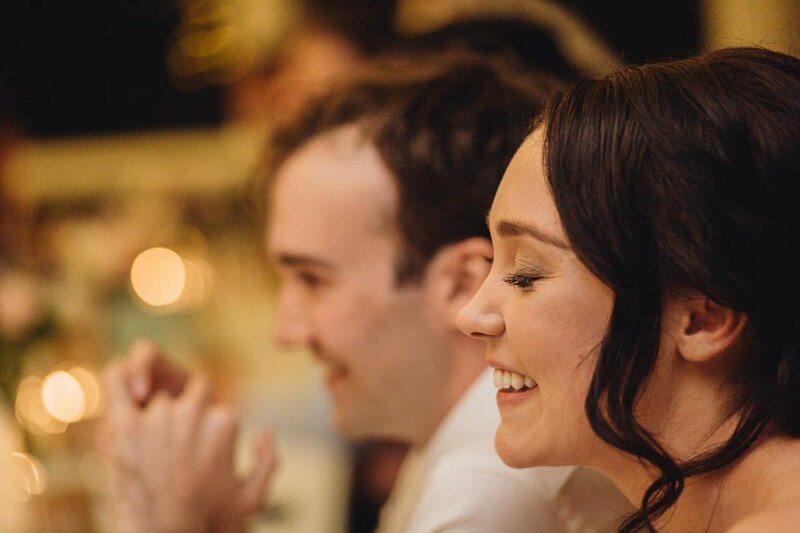 The love and happiness these two beautiful humans share with each other is so obvious and radiates at all times. 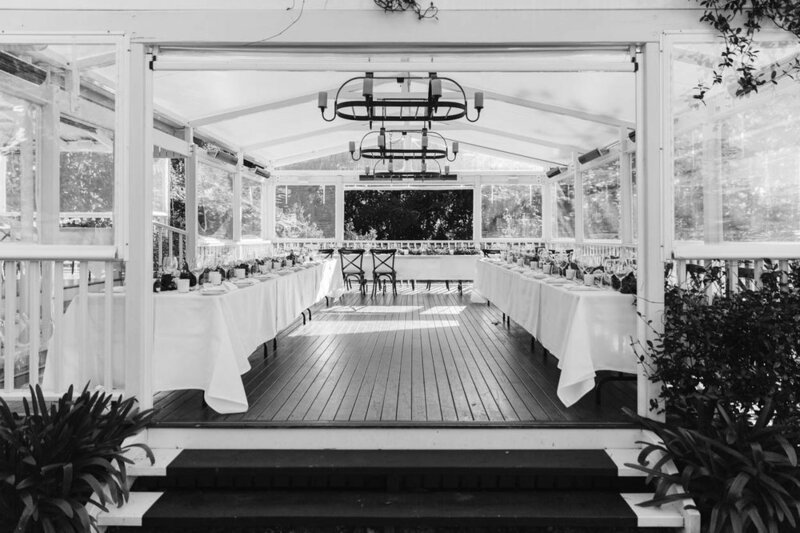 The Library Deck is one of the most amazing buildings we've seen to date for hosting a wedding reception. 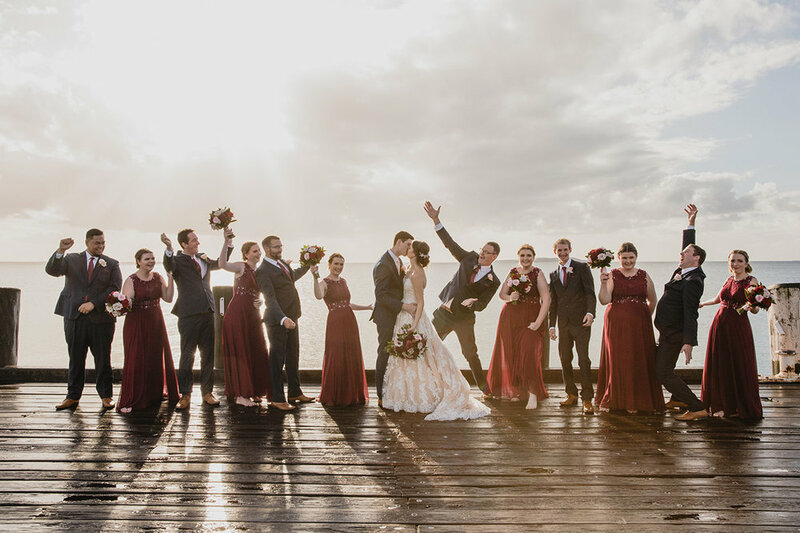 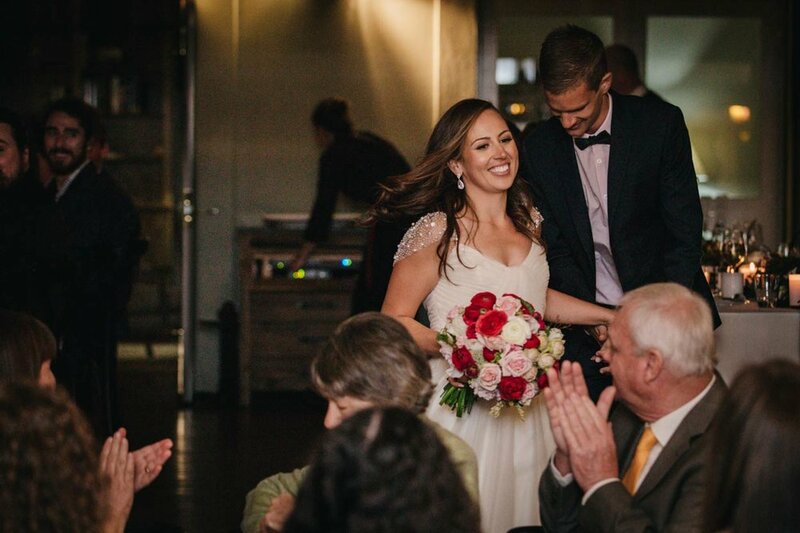 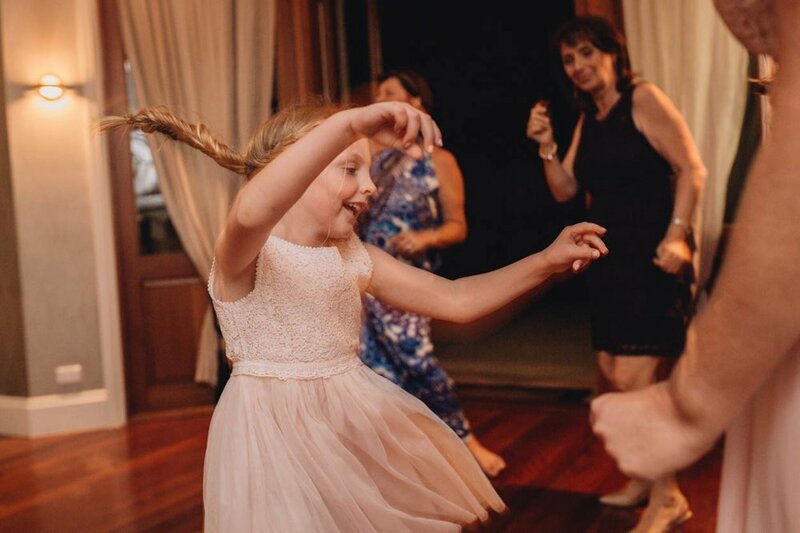 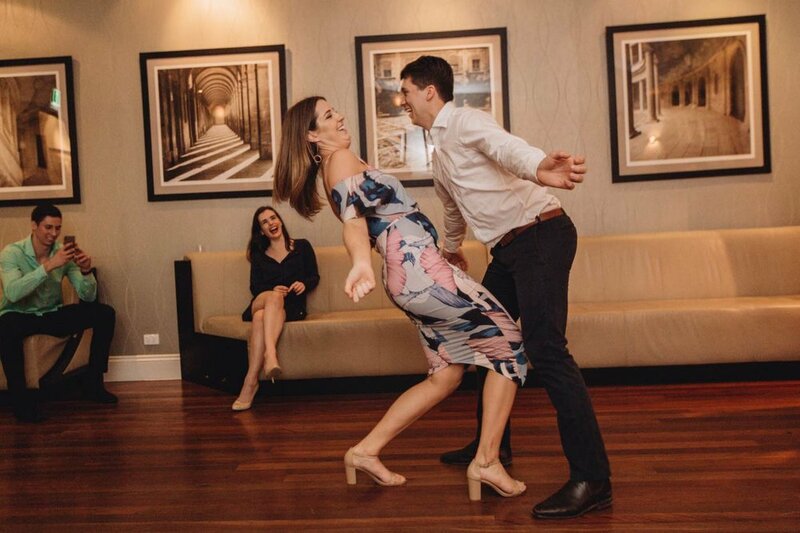 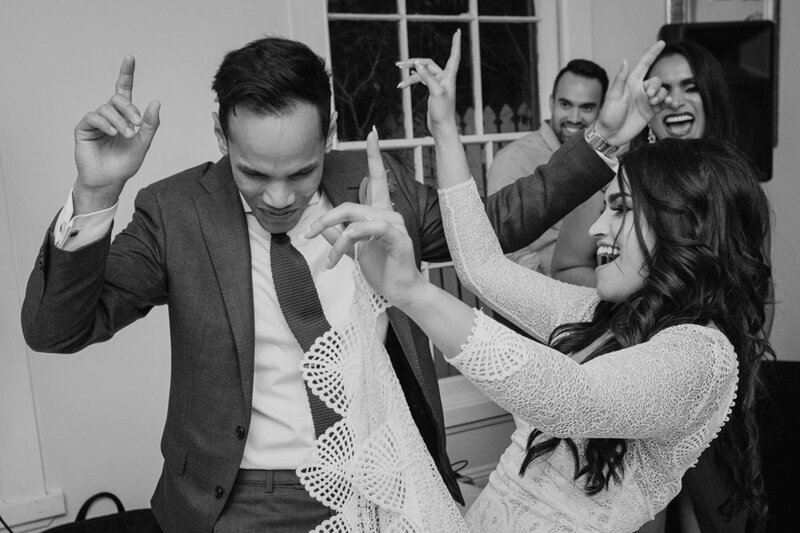 Natasha and Sean clearly had the time of their lives at their reception dinner followed by the first dance and some crazy party dancing to top off what was the best day of their lives.